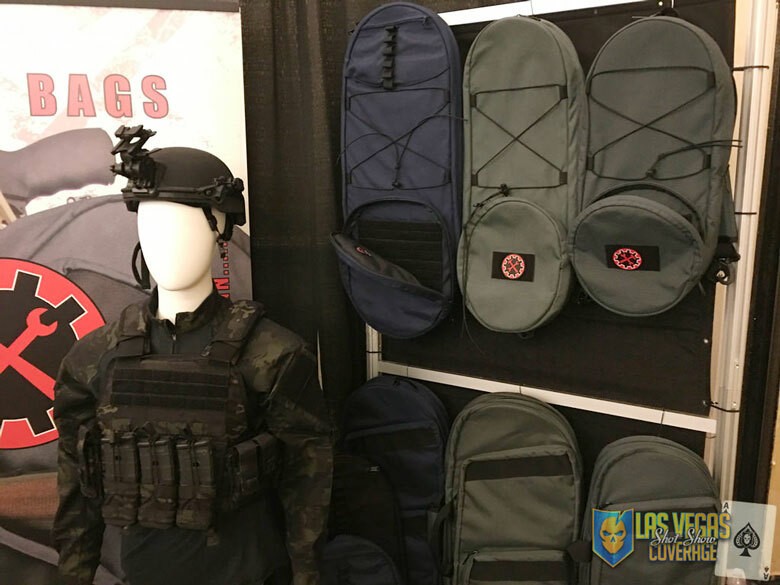 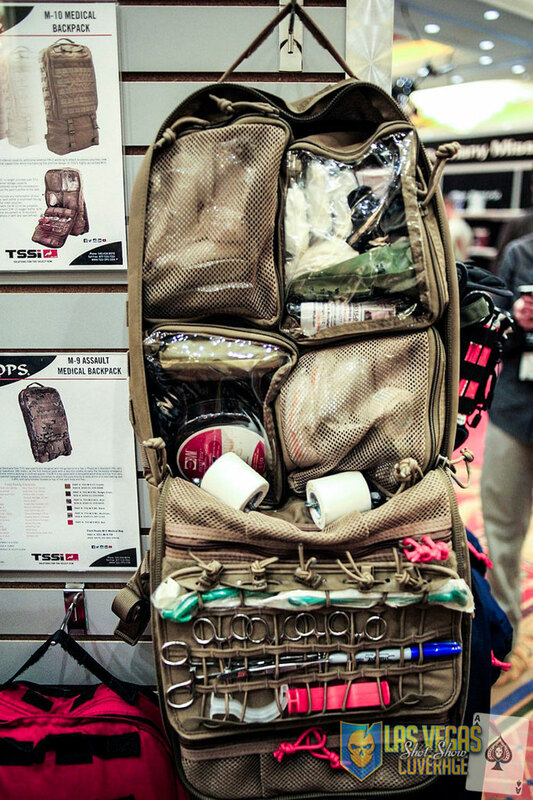 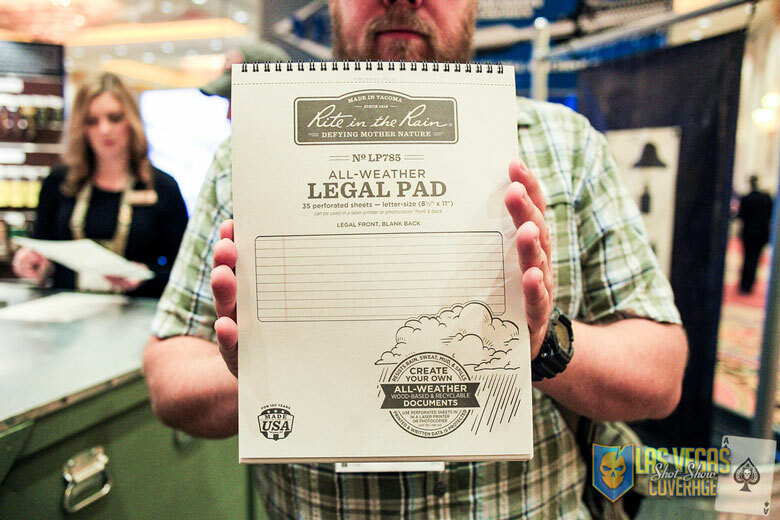 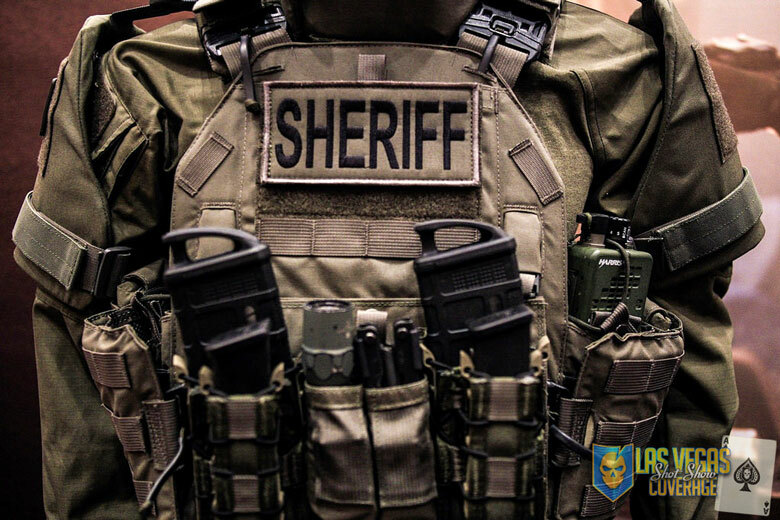 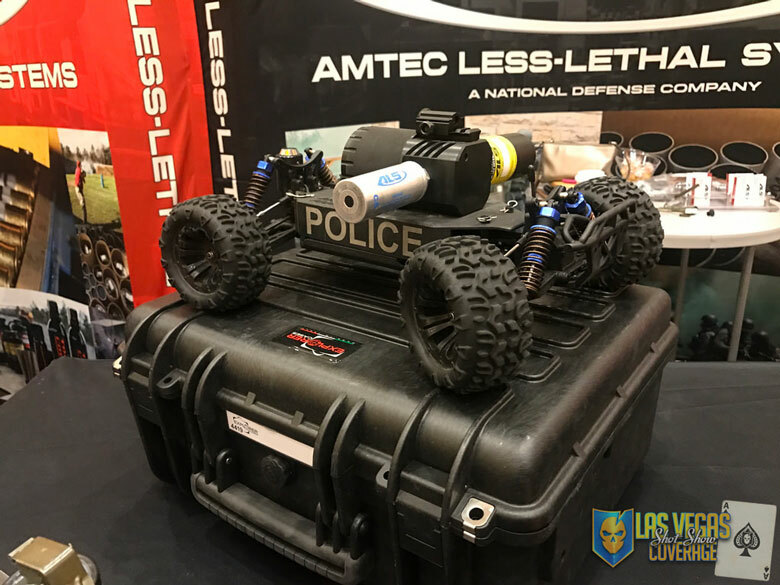 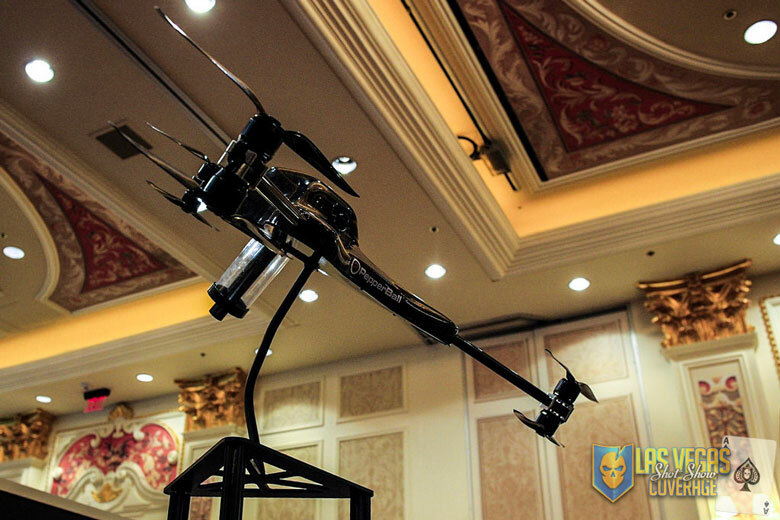 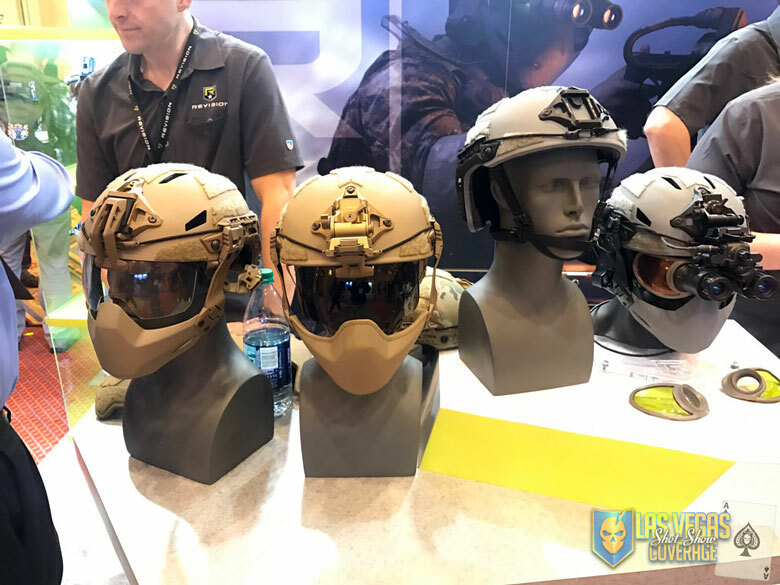 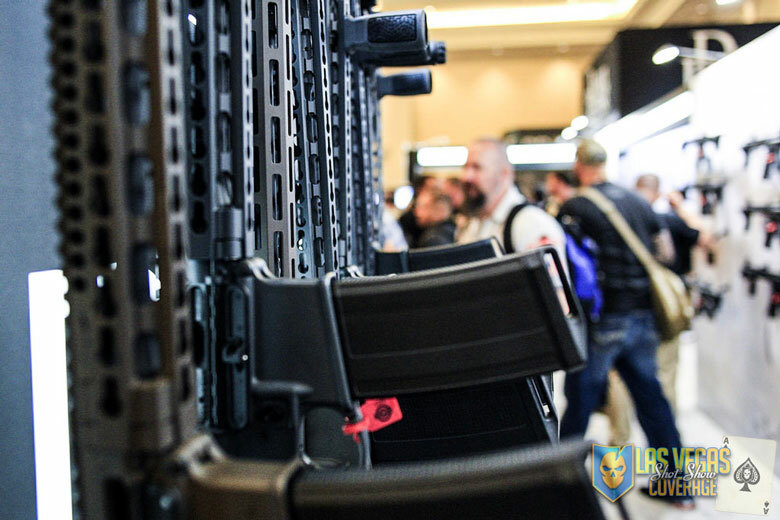 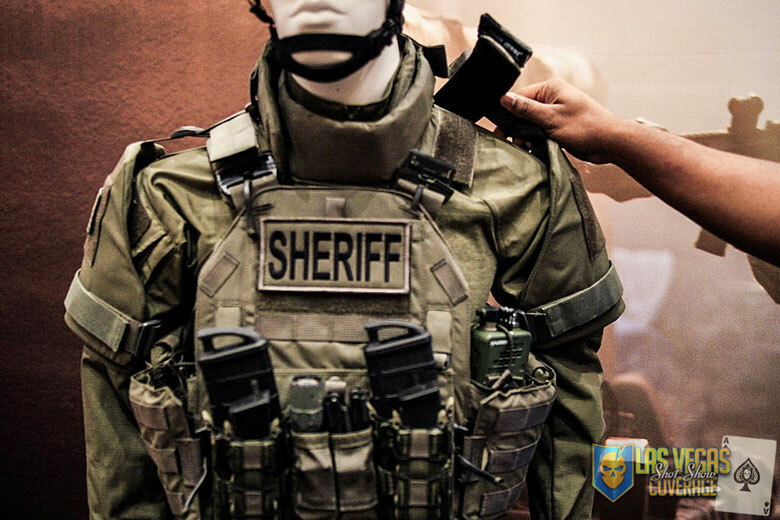 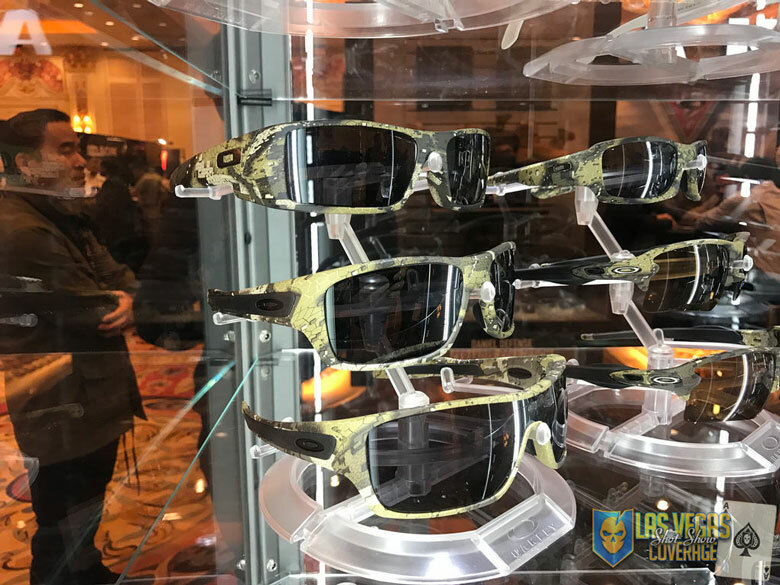 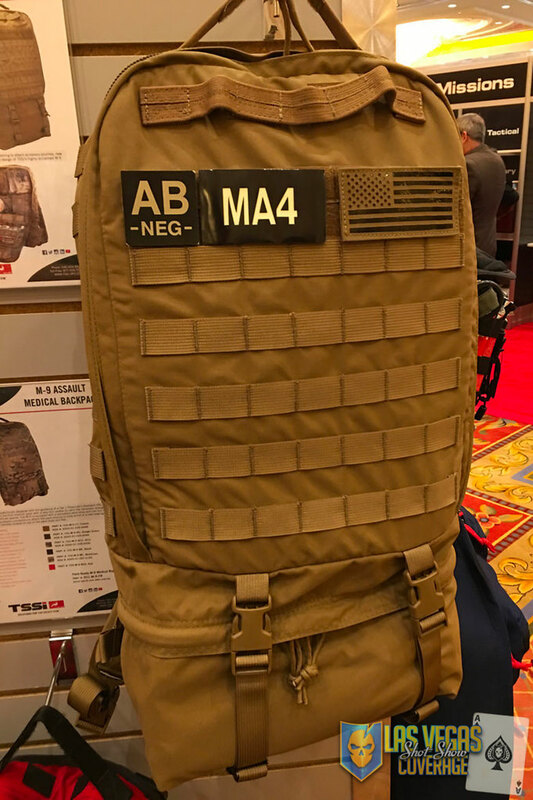 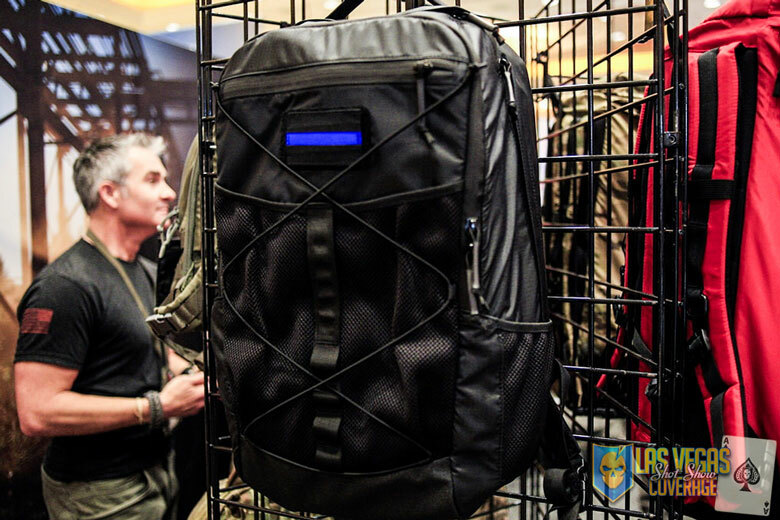 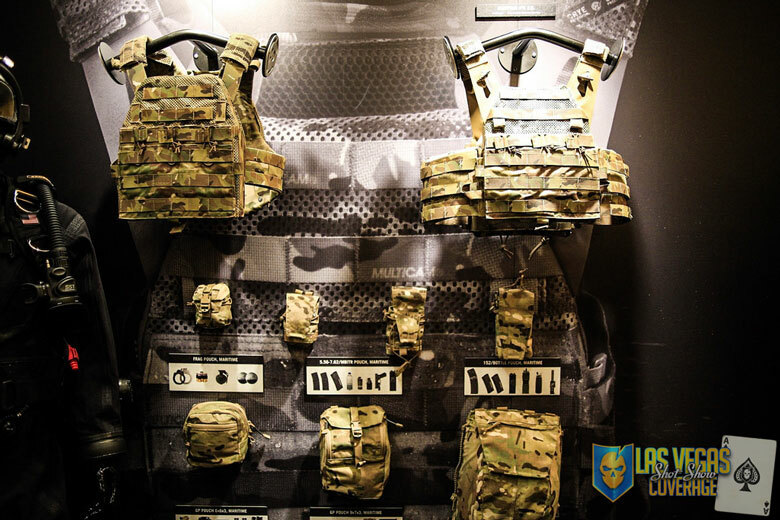 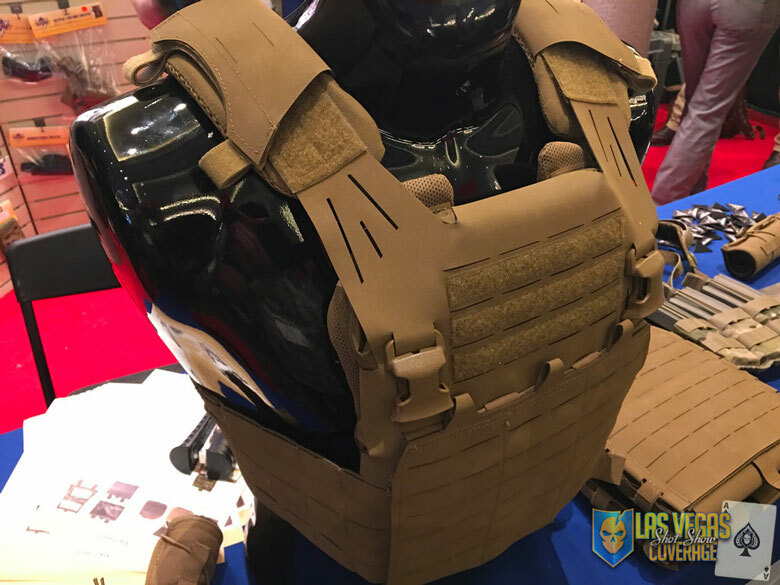 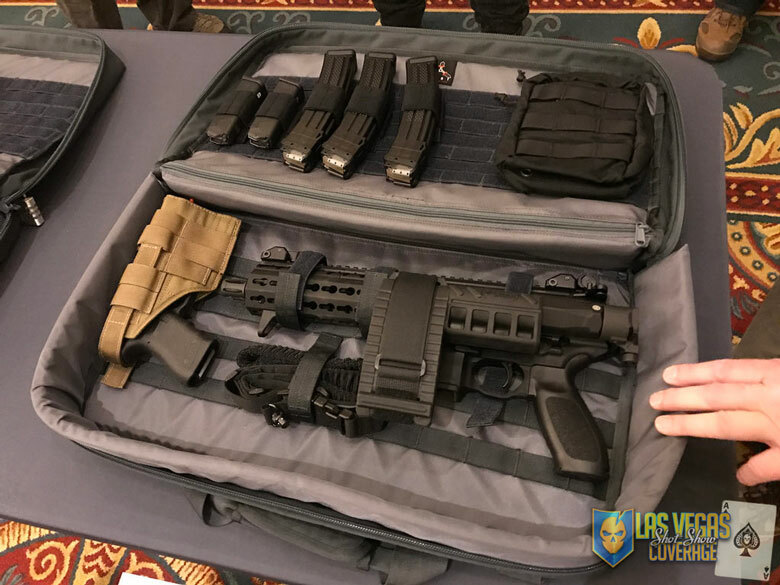 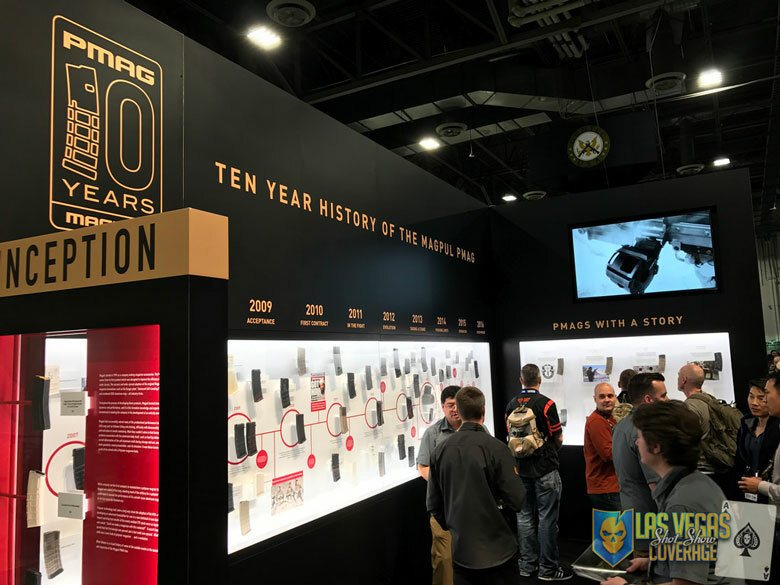 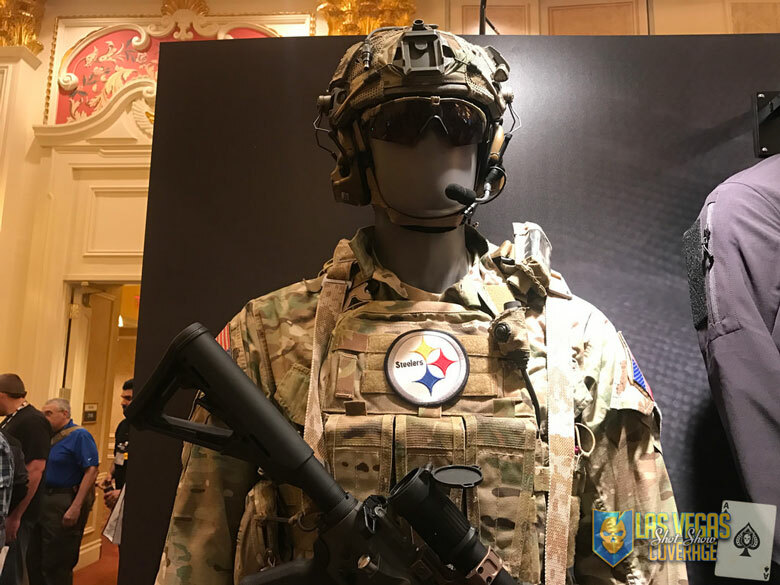 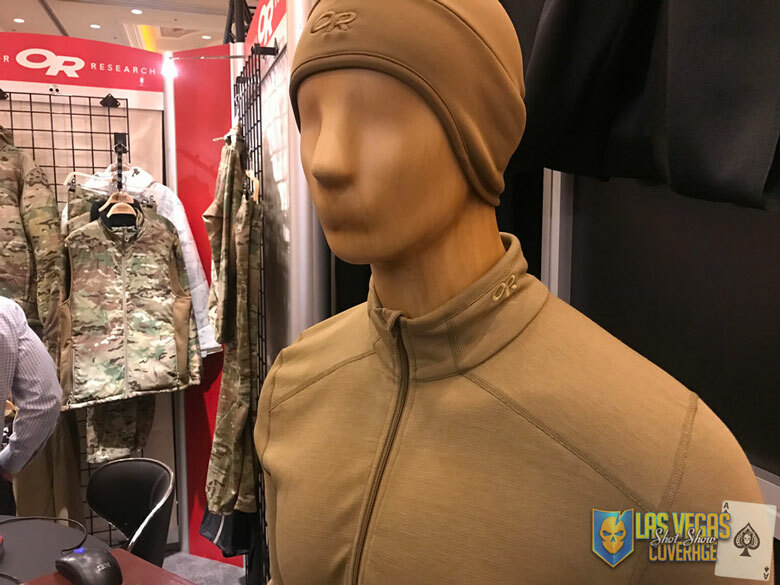 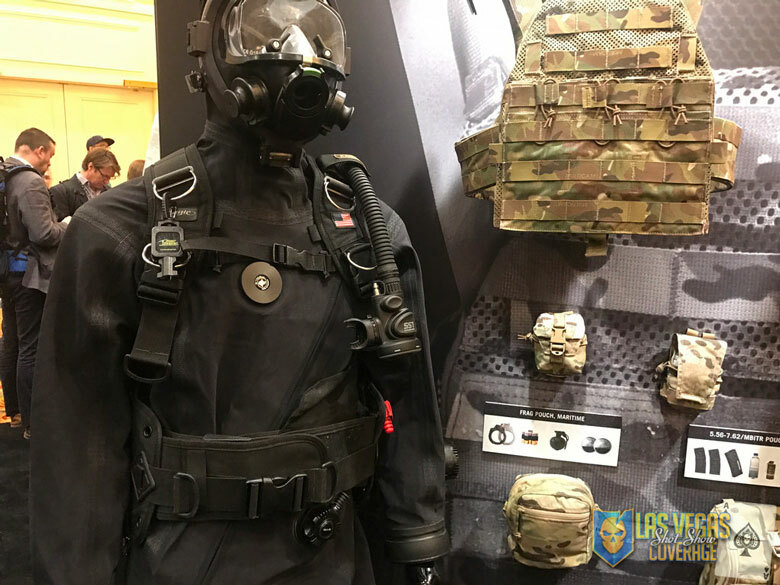 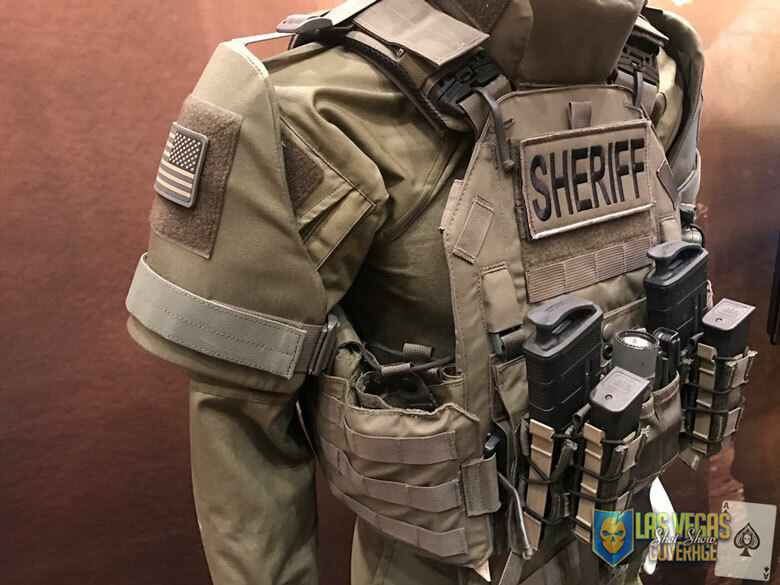 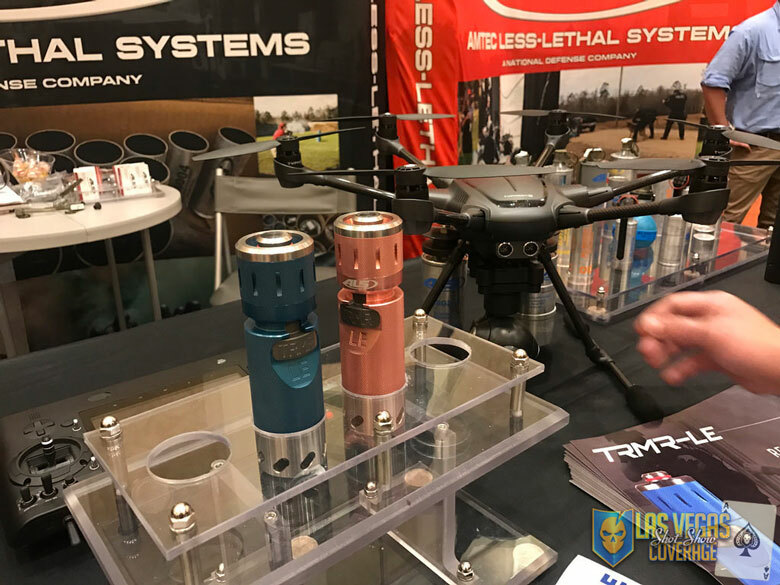 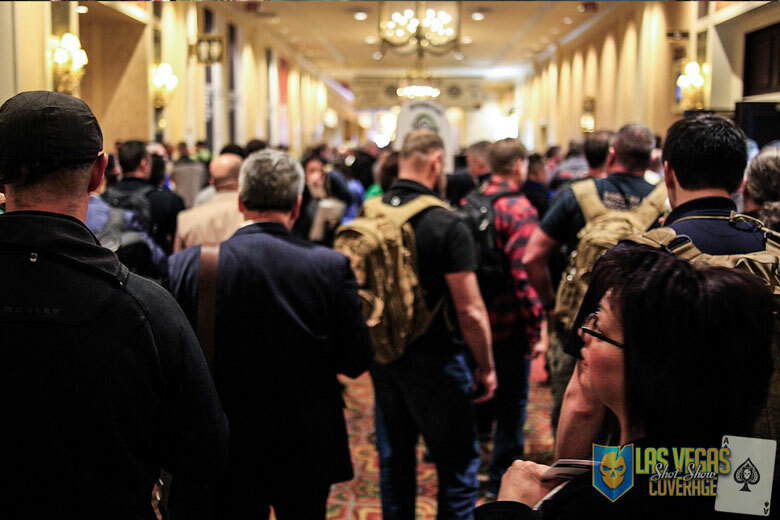 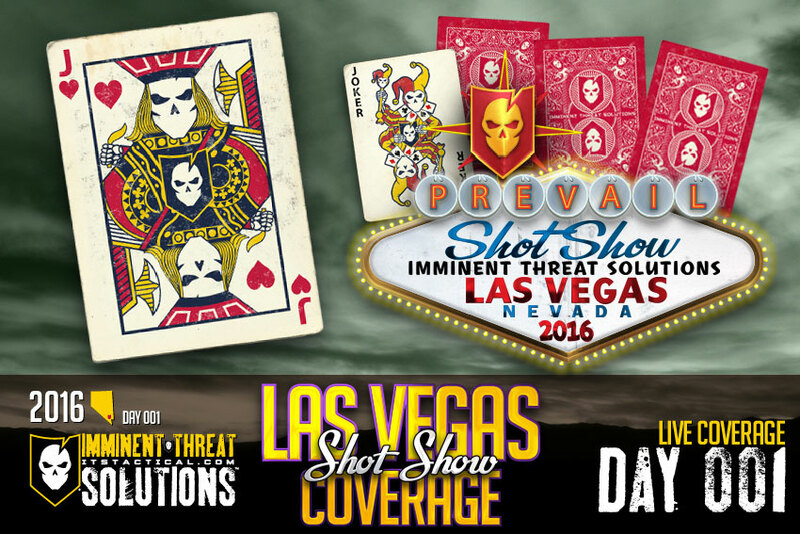 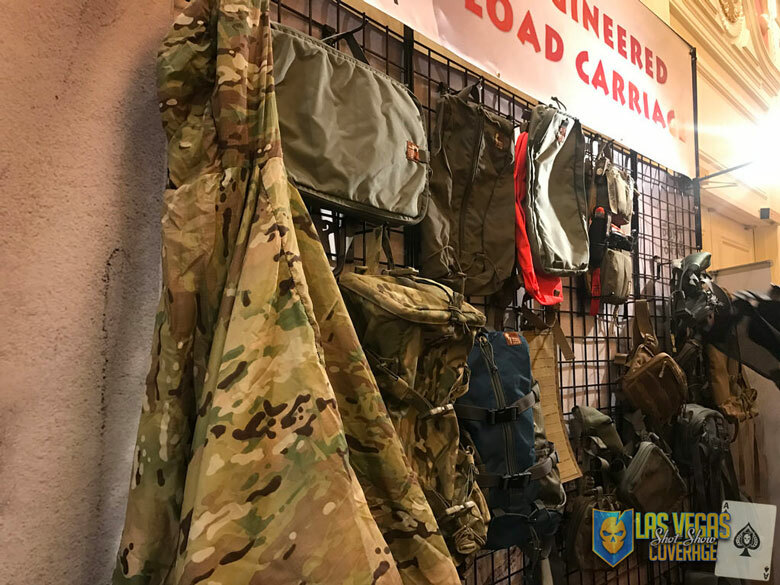 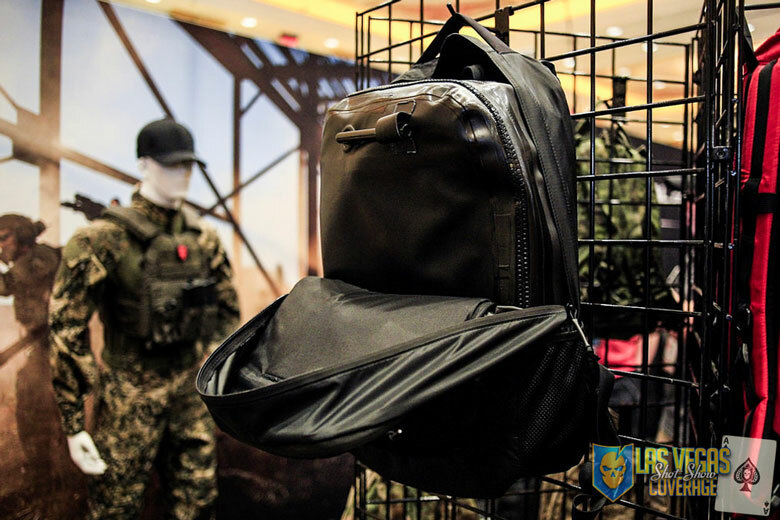 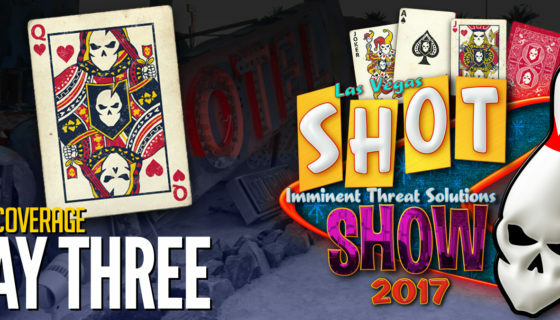 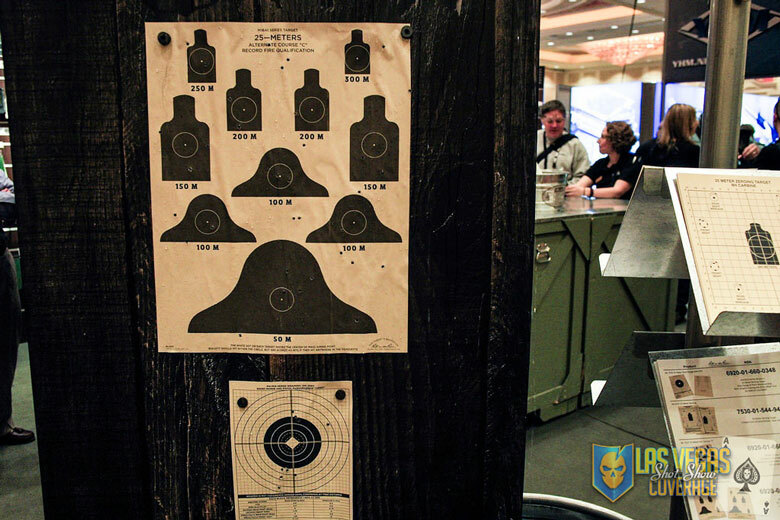 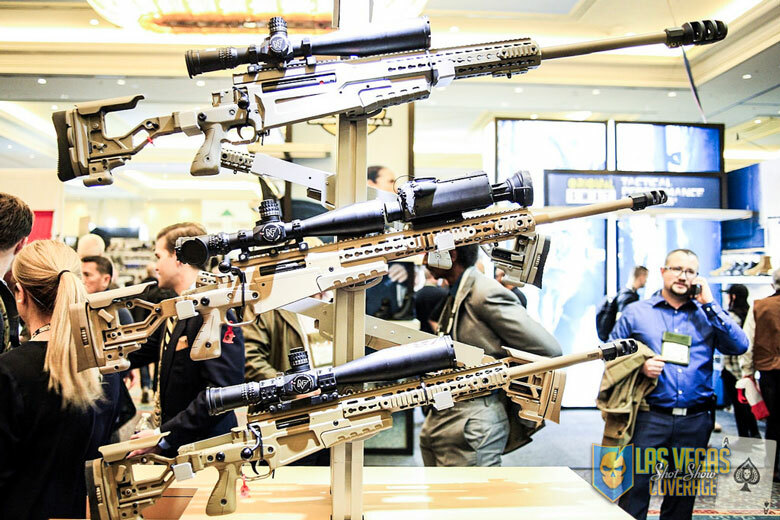 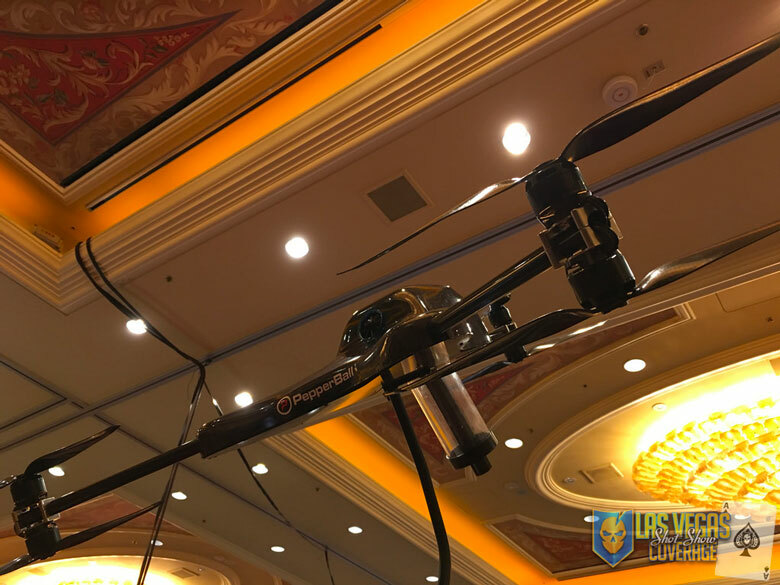 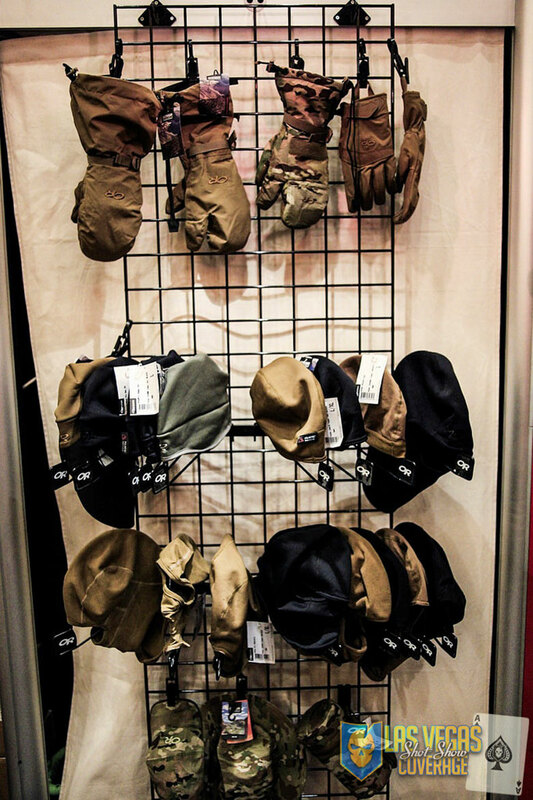 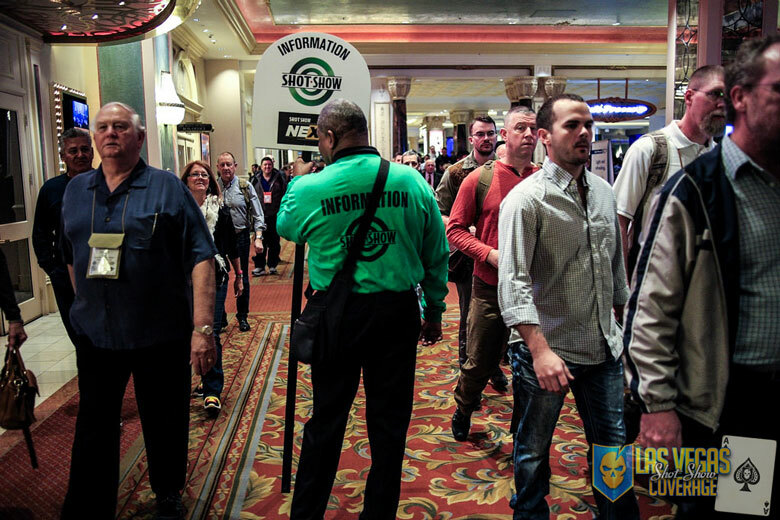 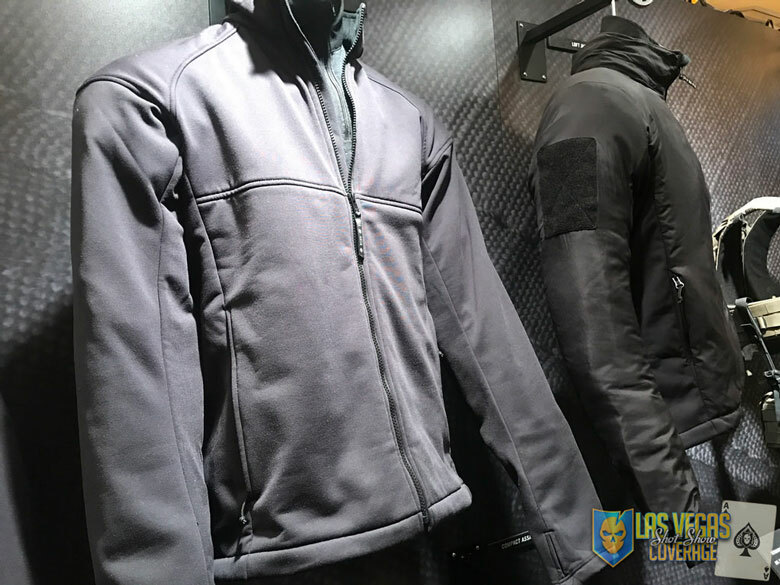 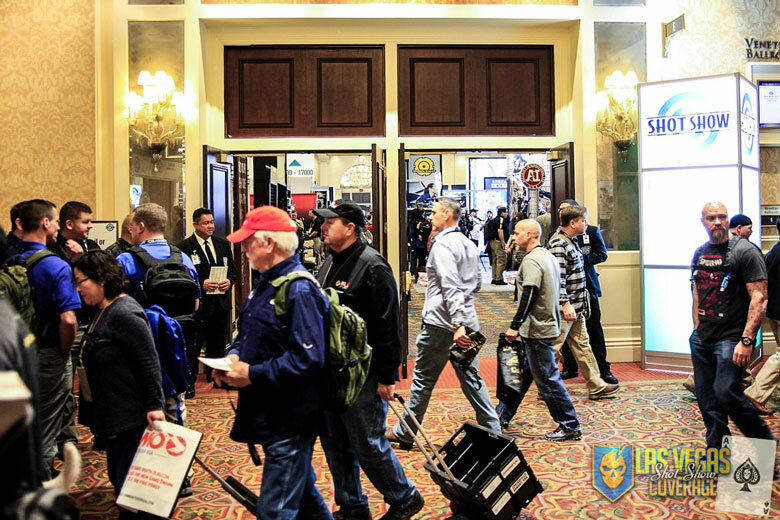 SHOT Show is the largest trade show of its kind covering shooting sports, outdoor, hunting and law enforcement industries. 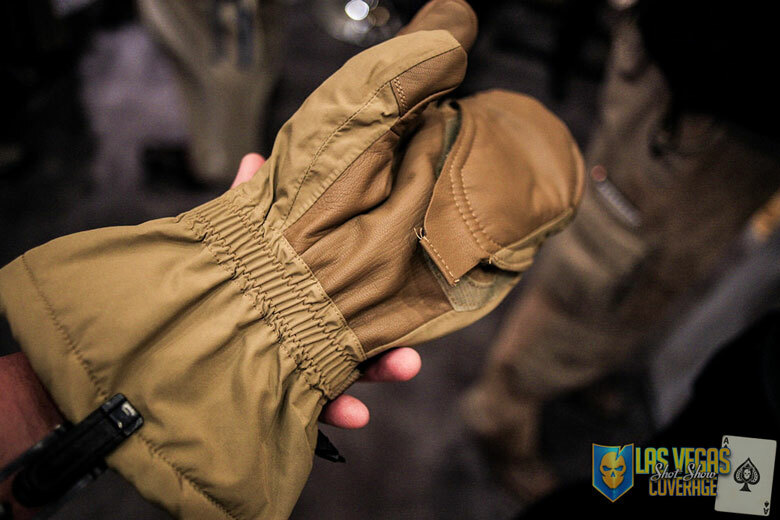 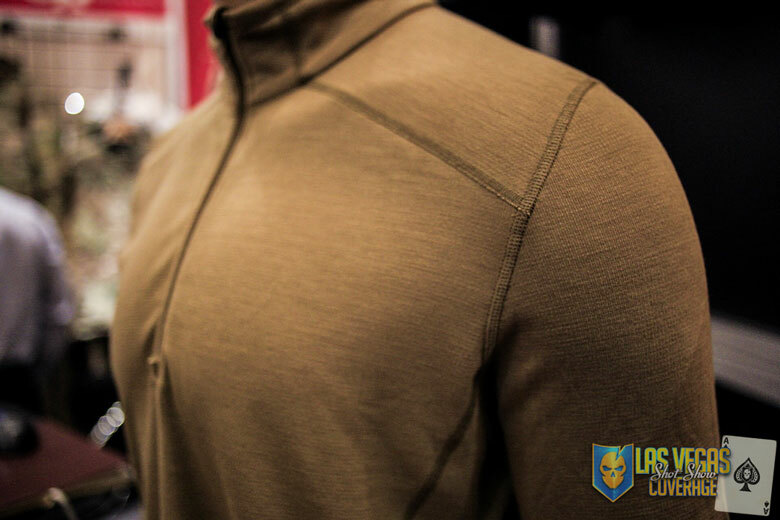 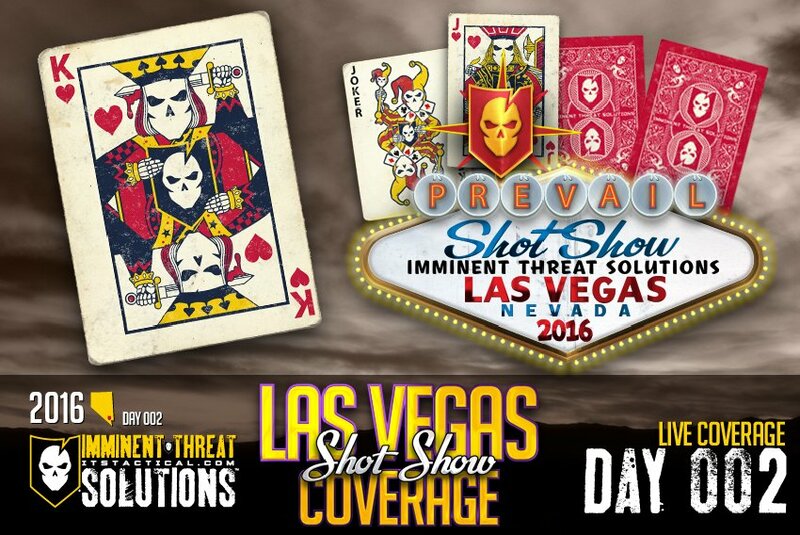 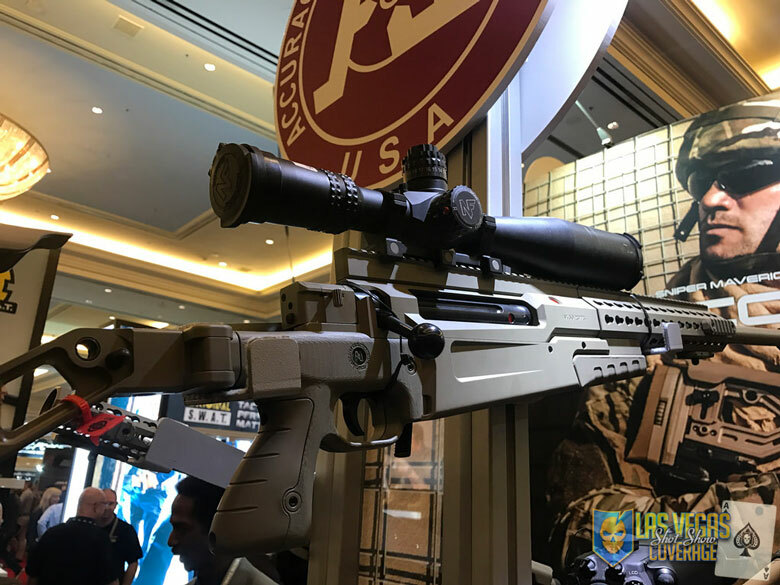 Stay tuned for live coverage coming from Day 1 of SHOT Show 2017! 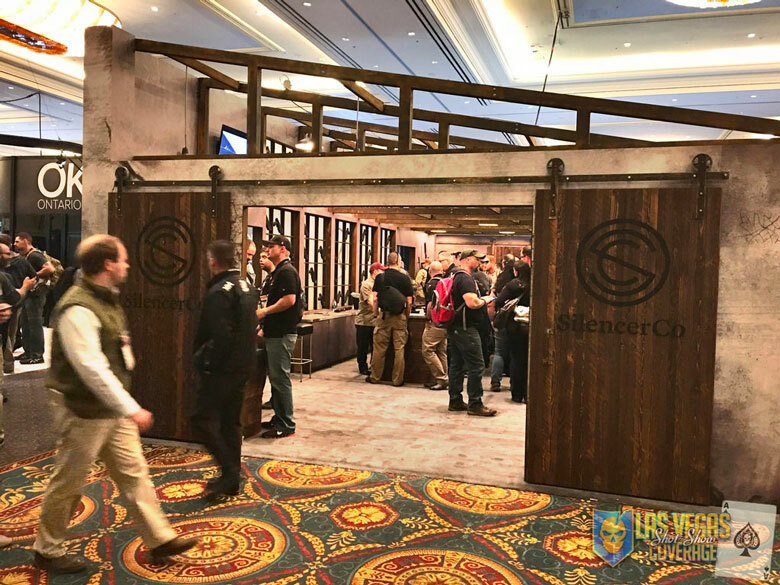 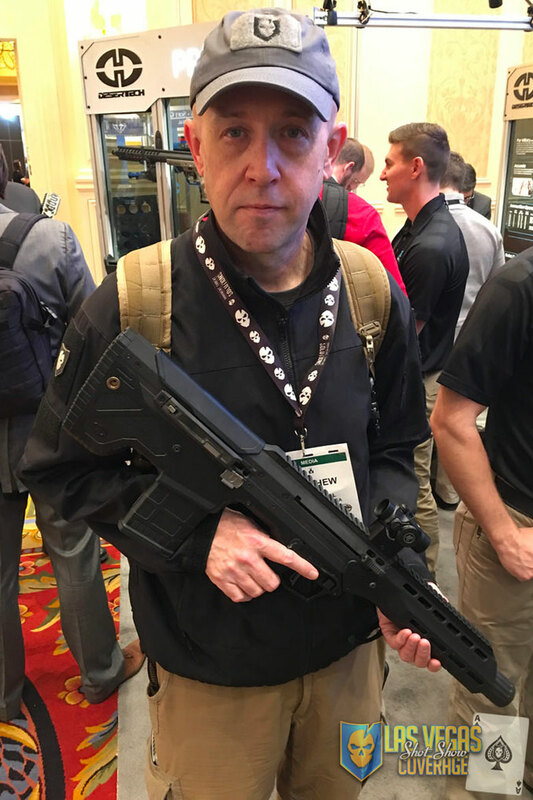 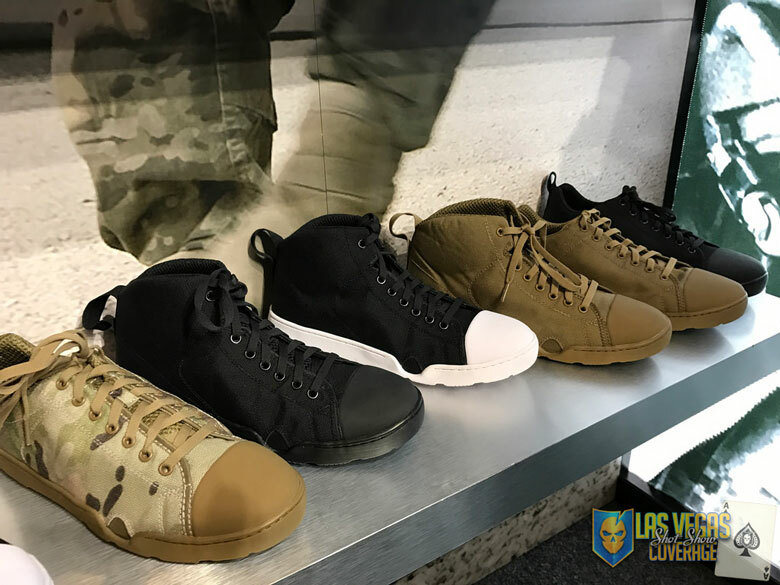 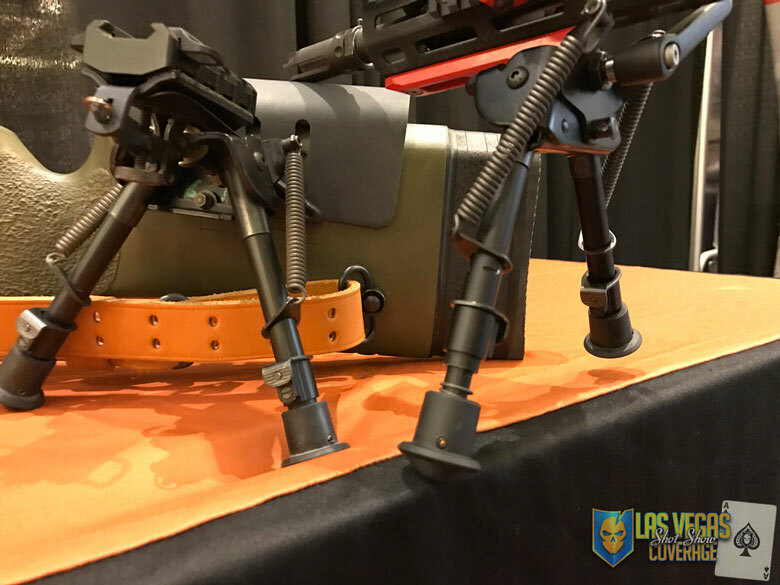 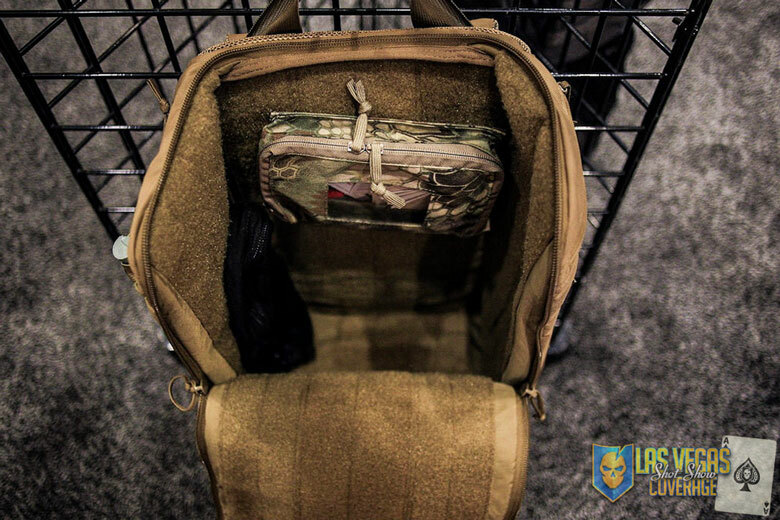 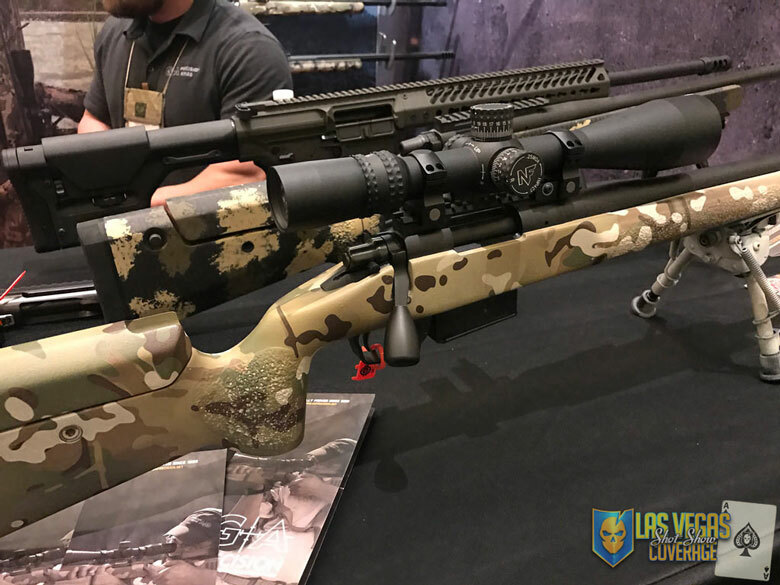 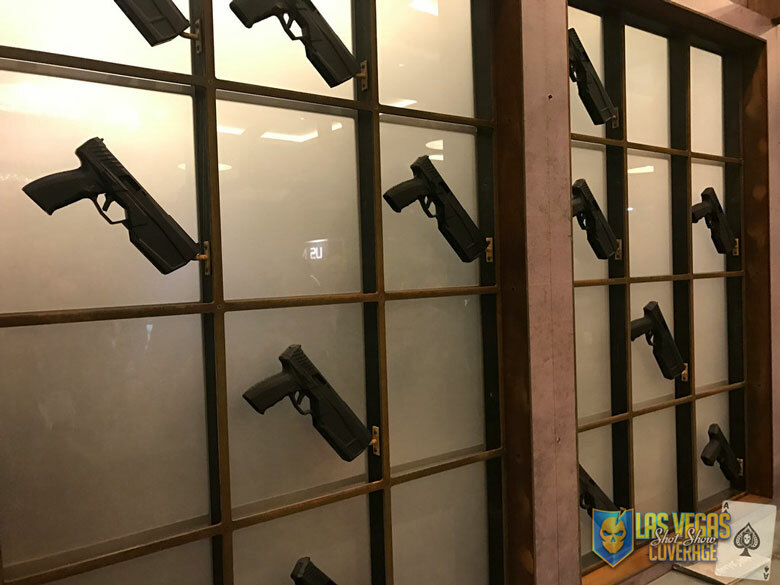 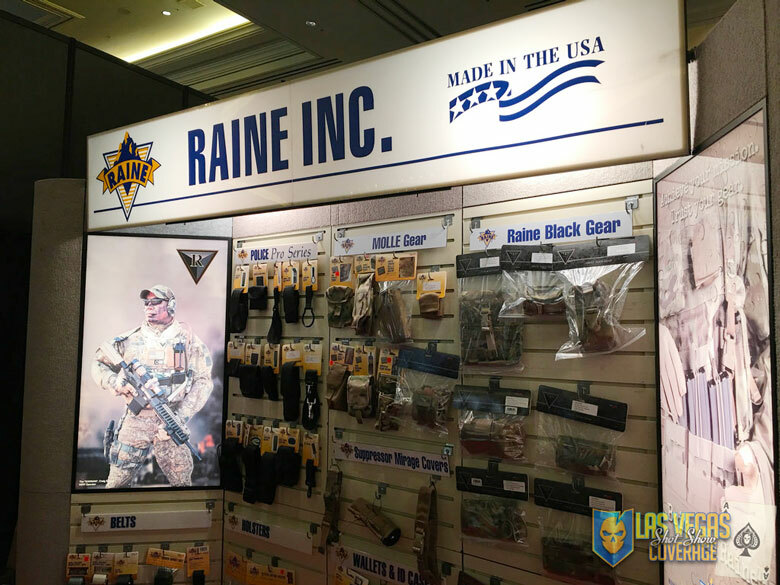 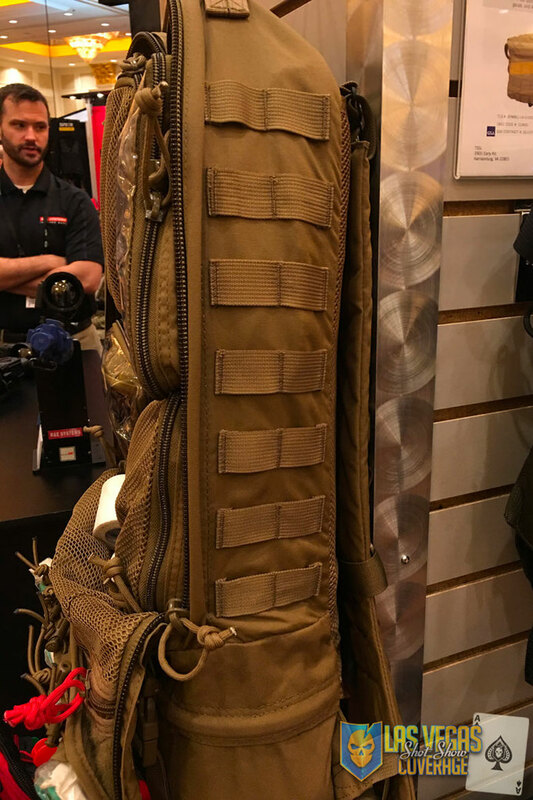 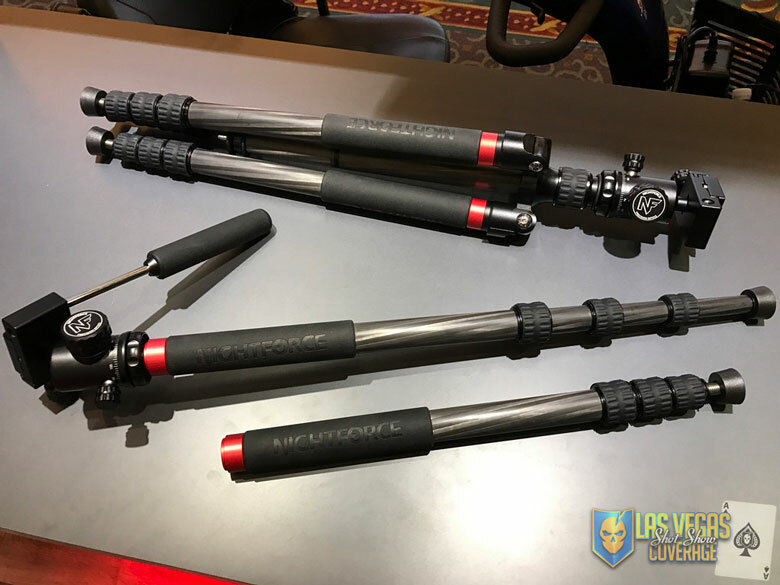 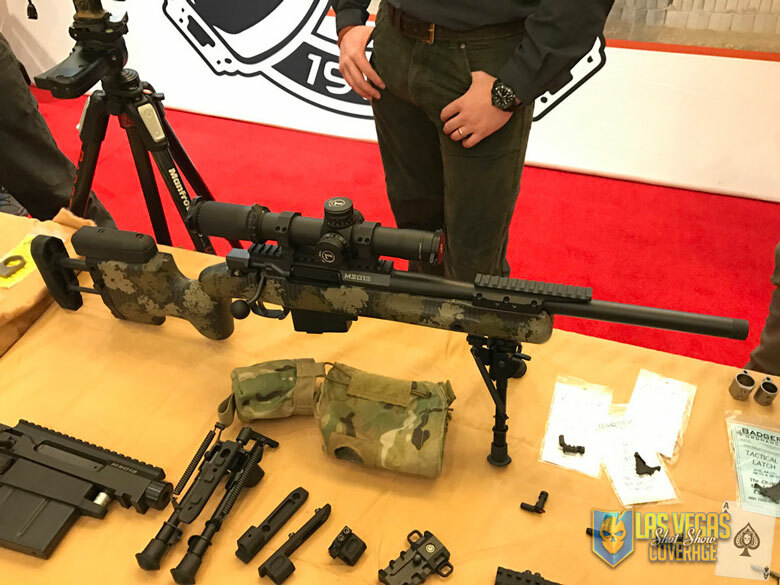 –1730– That’s a wrap for Day 1 of SHOT Show 2017! 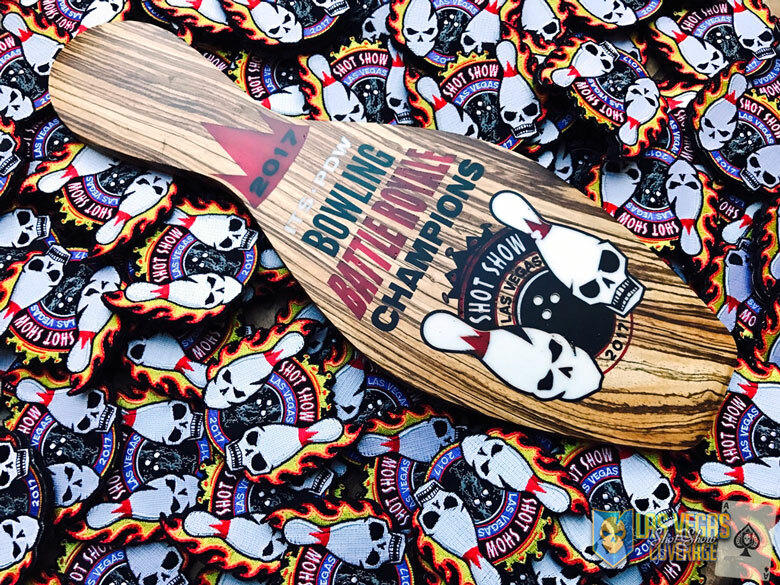 Don’t forget, if you’re in Las Vegas, be sure to make it out to the ITS + PDW Bowling Battle Royale! 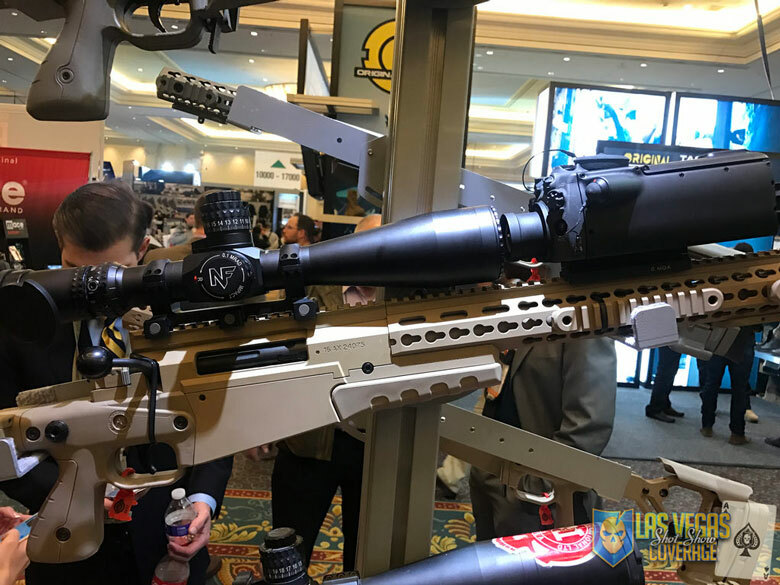 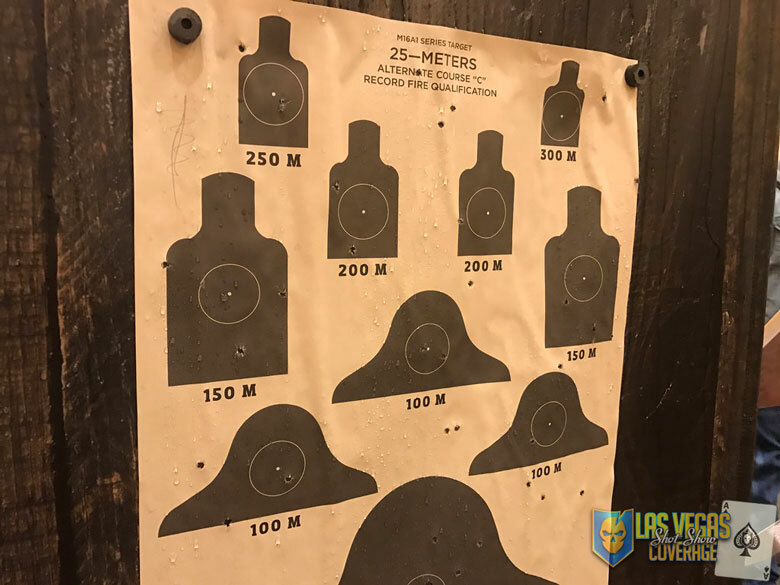 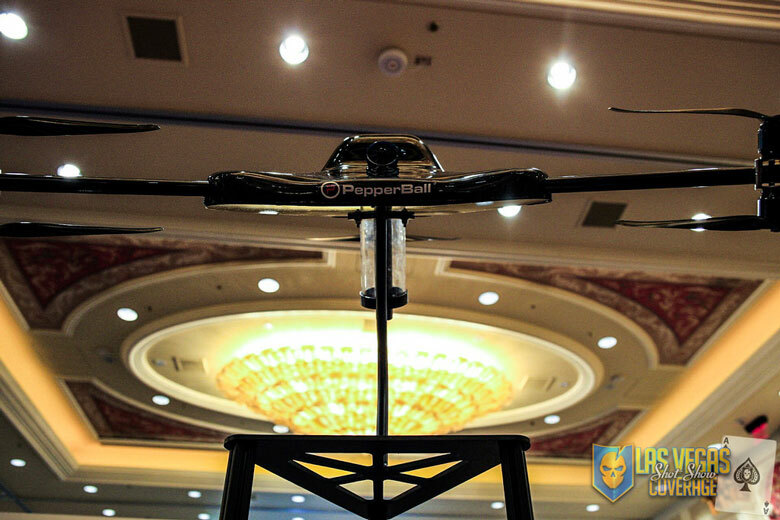 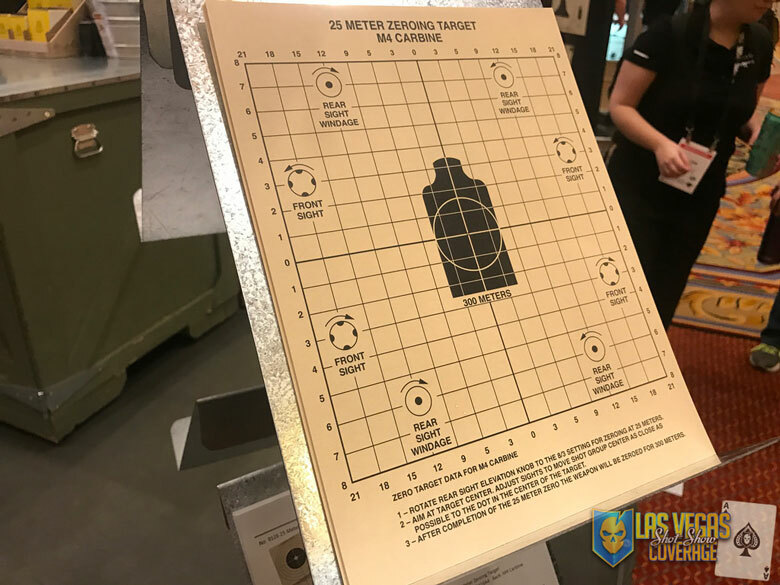 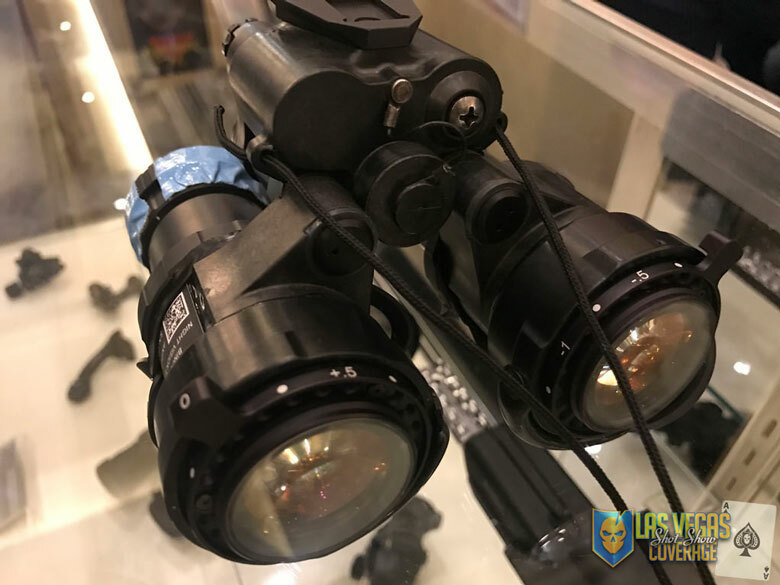 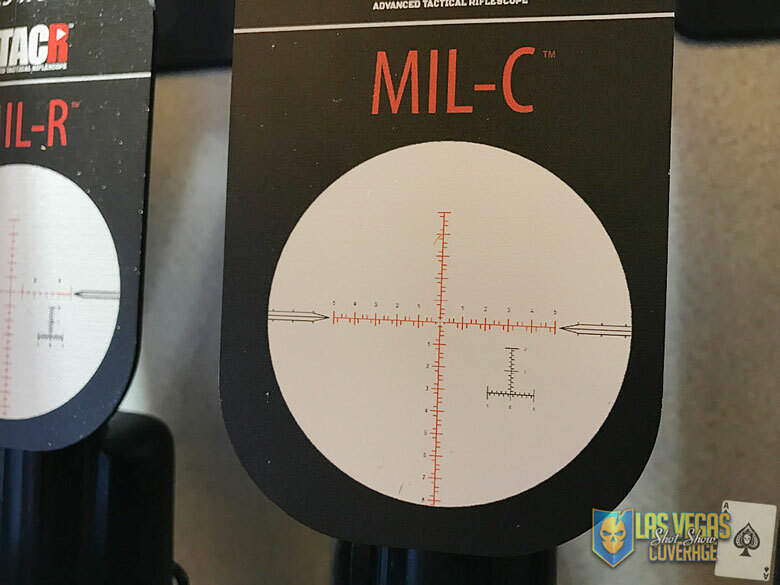 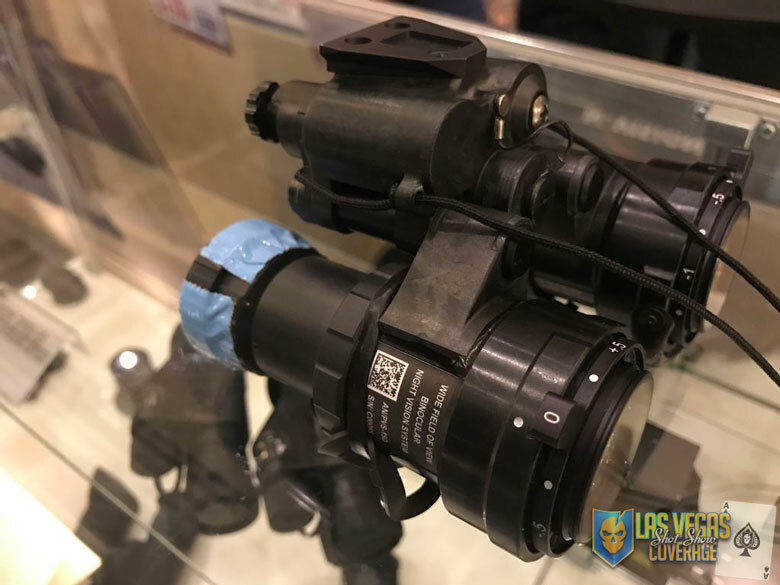 –1538– New MIL-C reticle from Nightforce for more precise wind call adjustments. 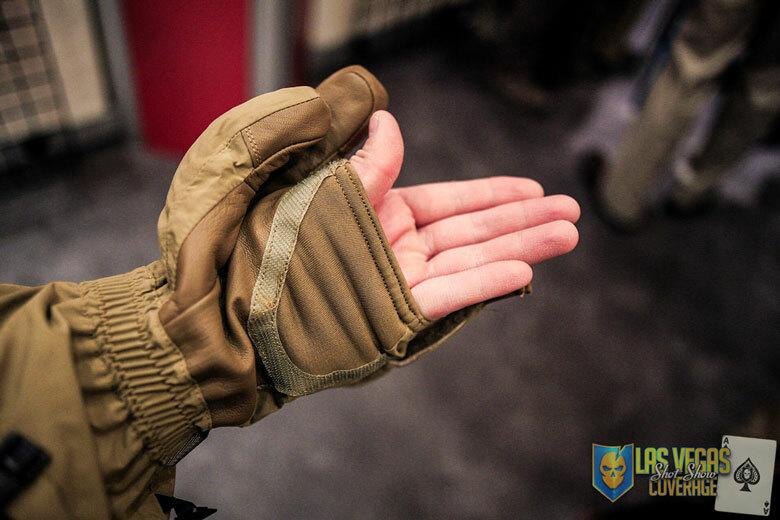 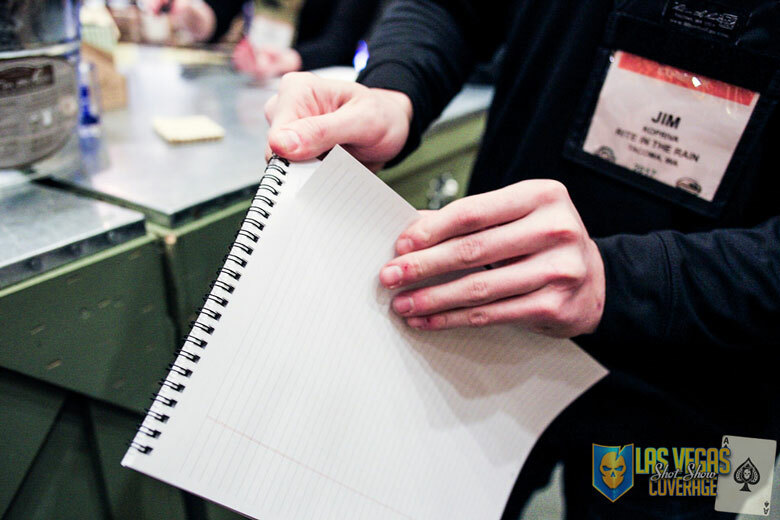 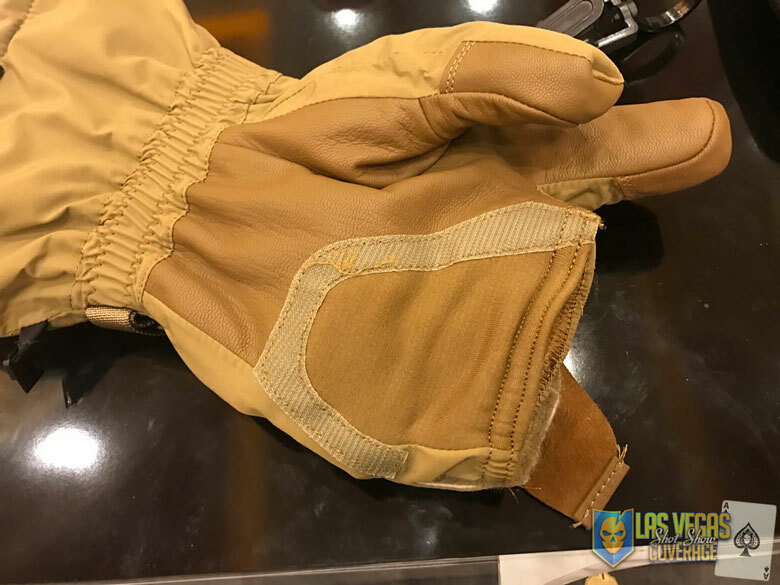 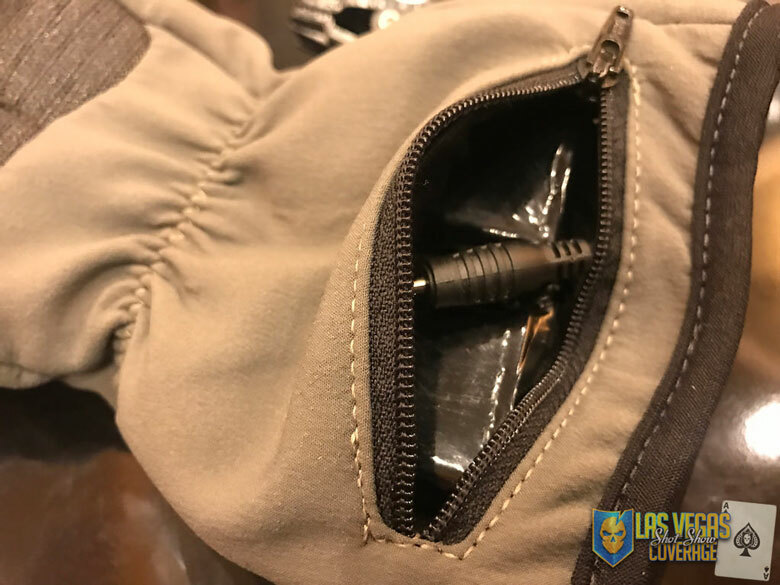 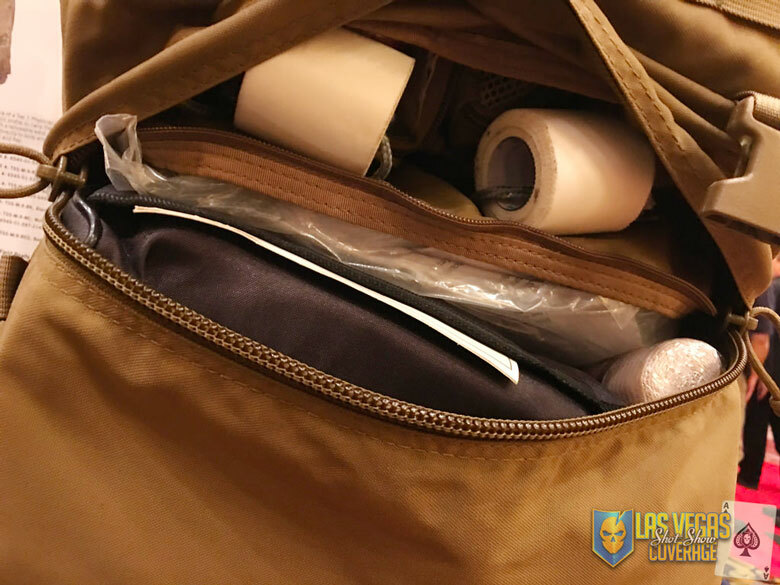 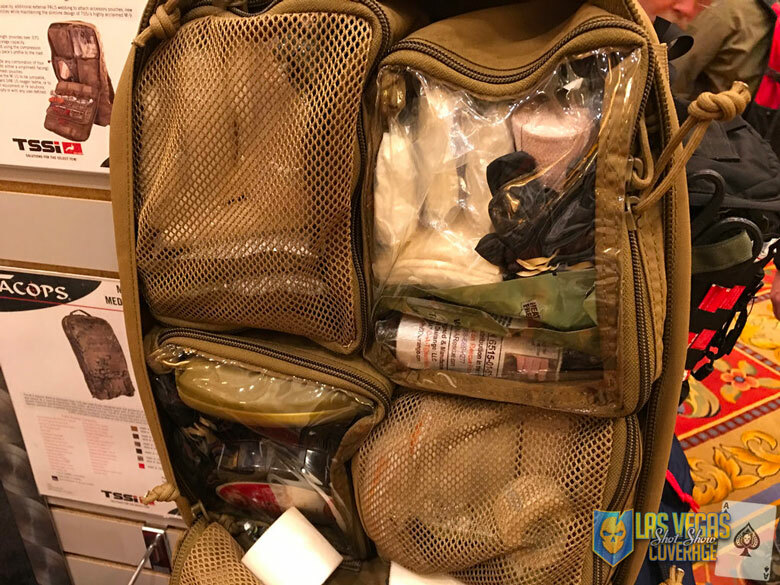 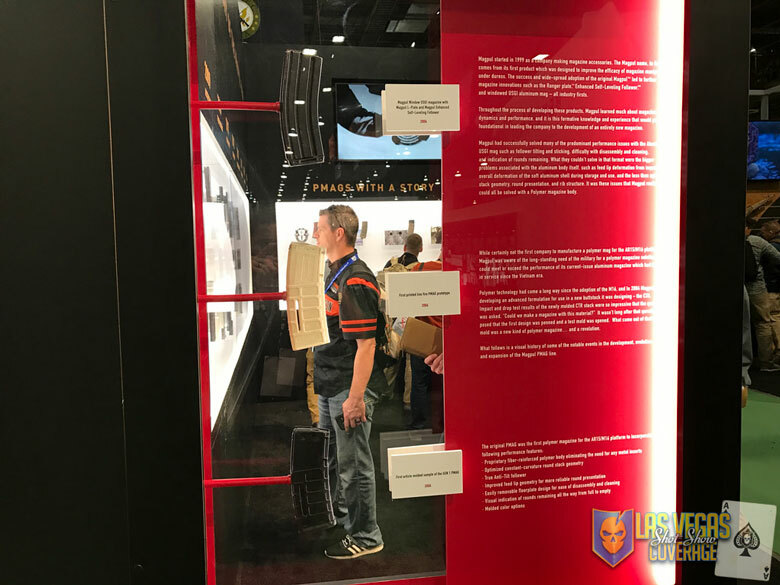 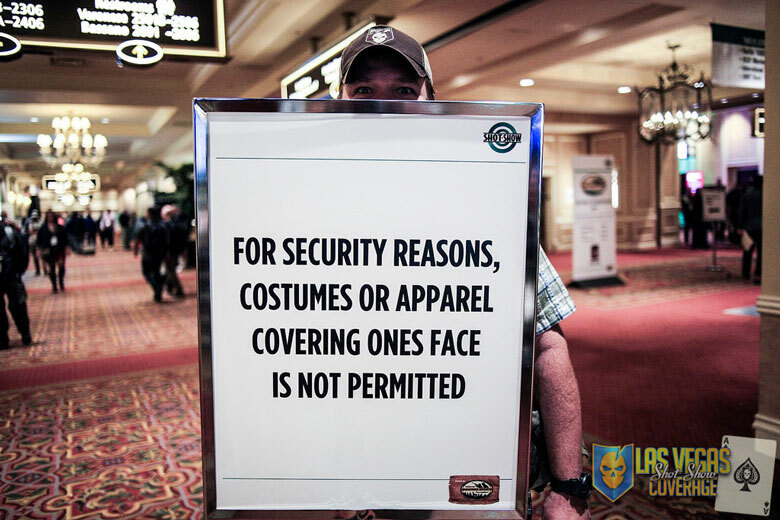 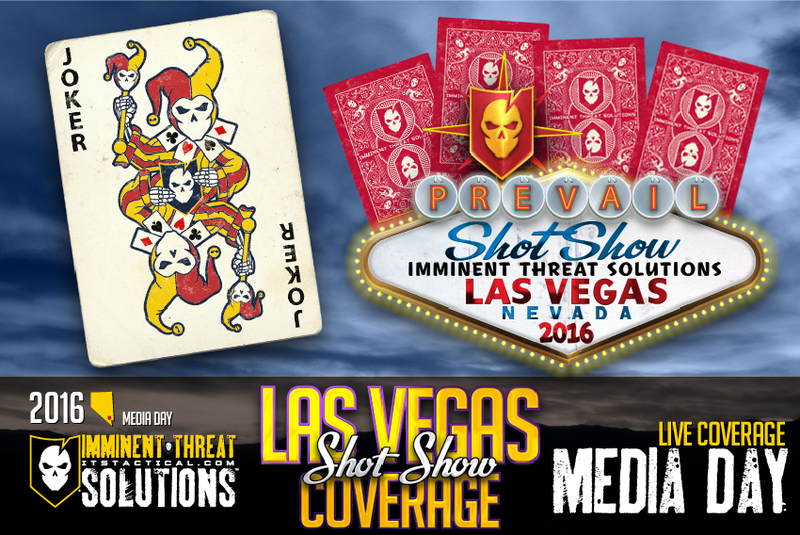 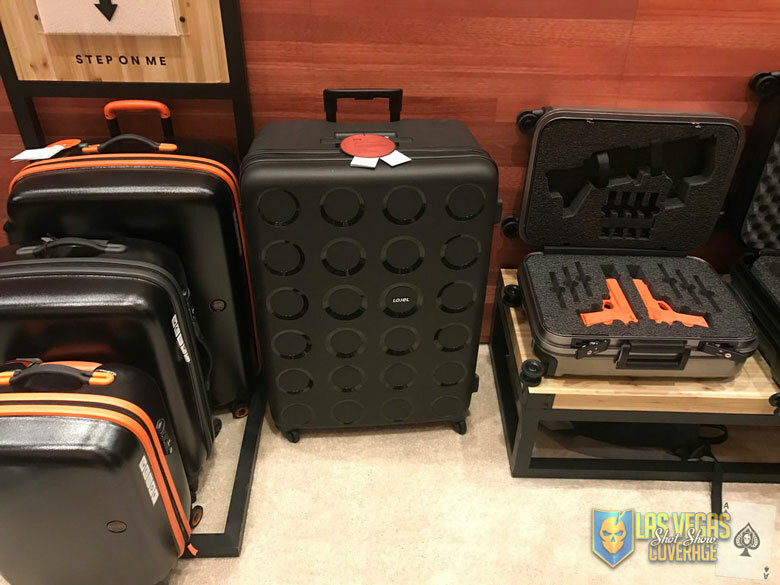 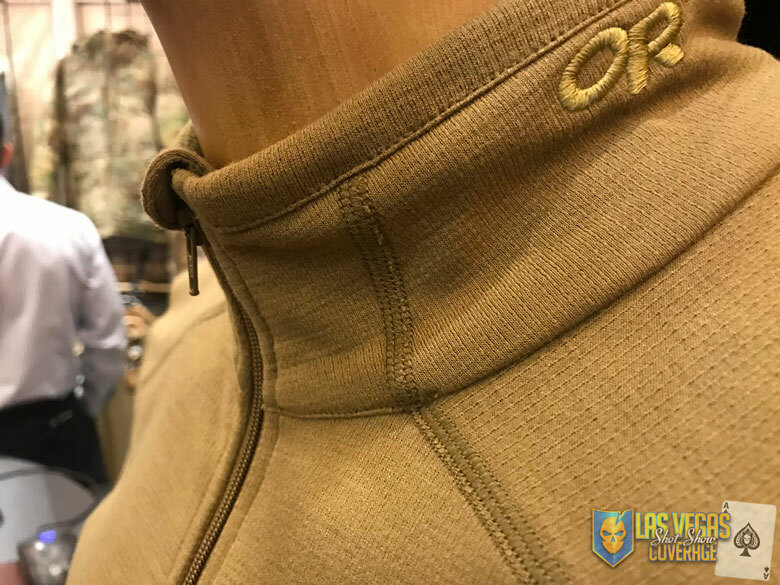 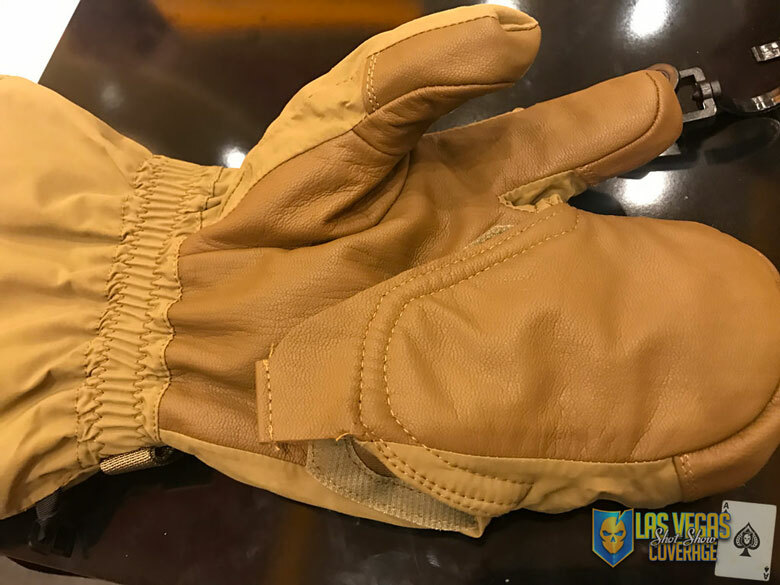 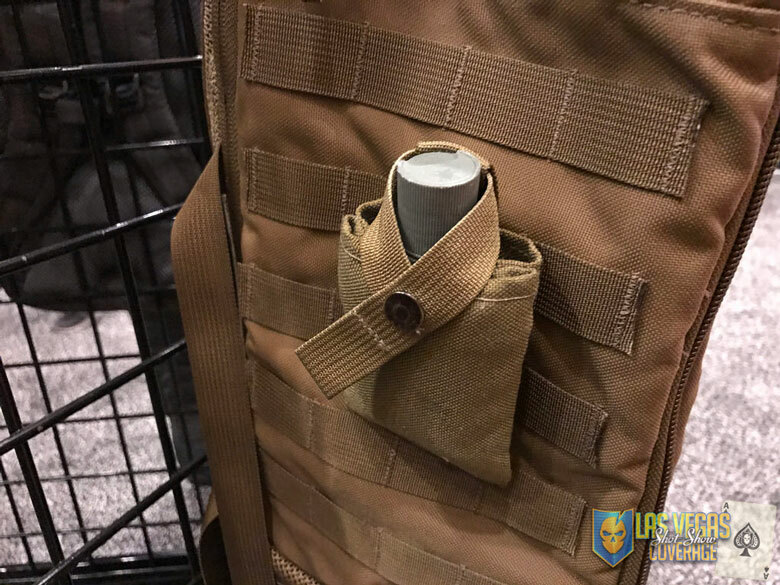 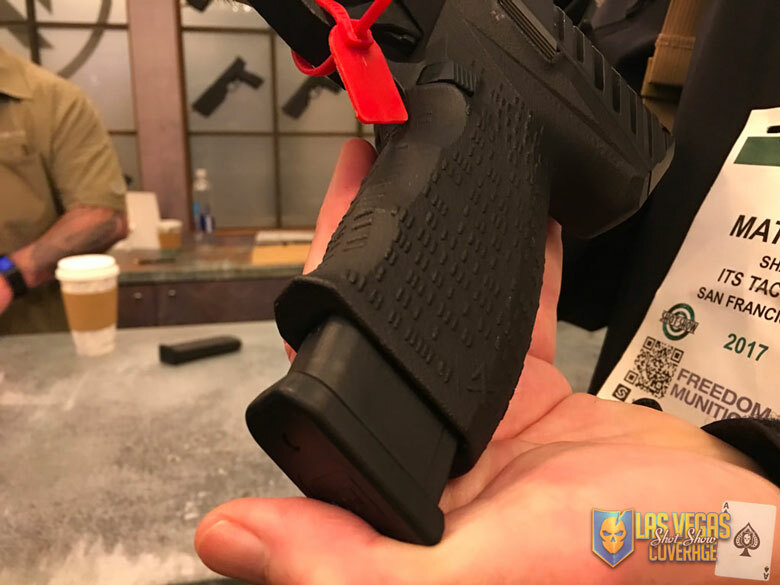 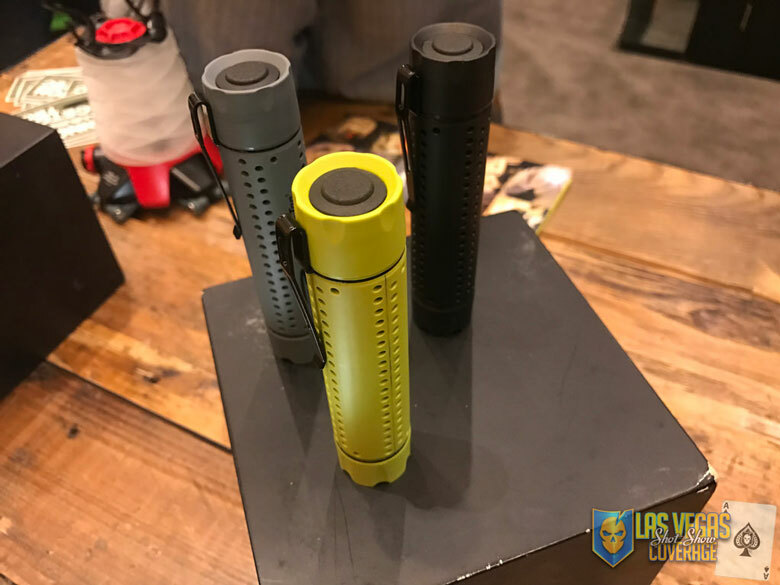 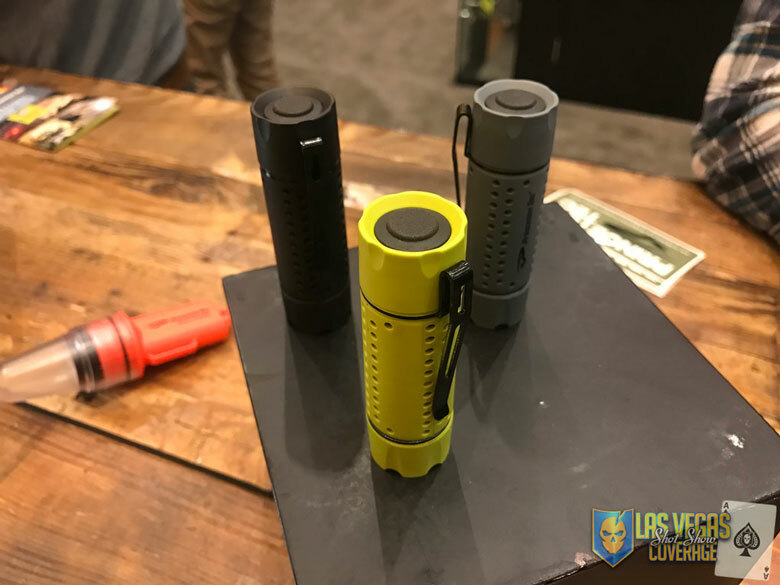 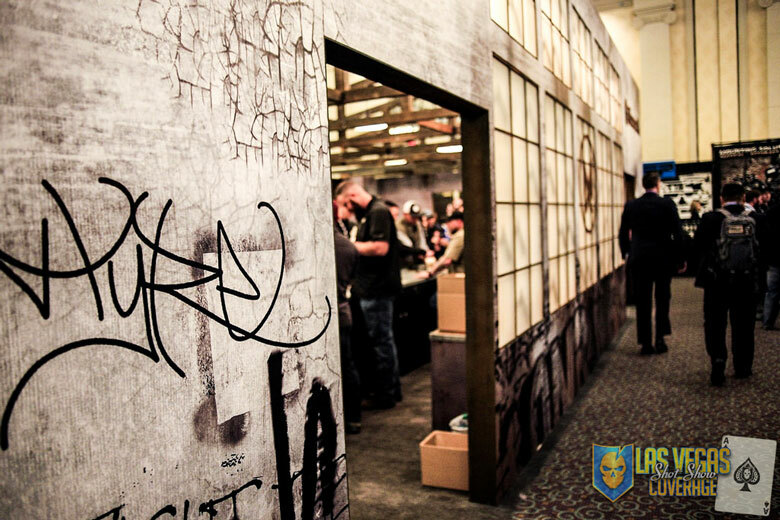 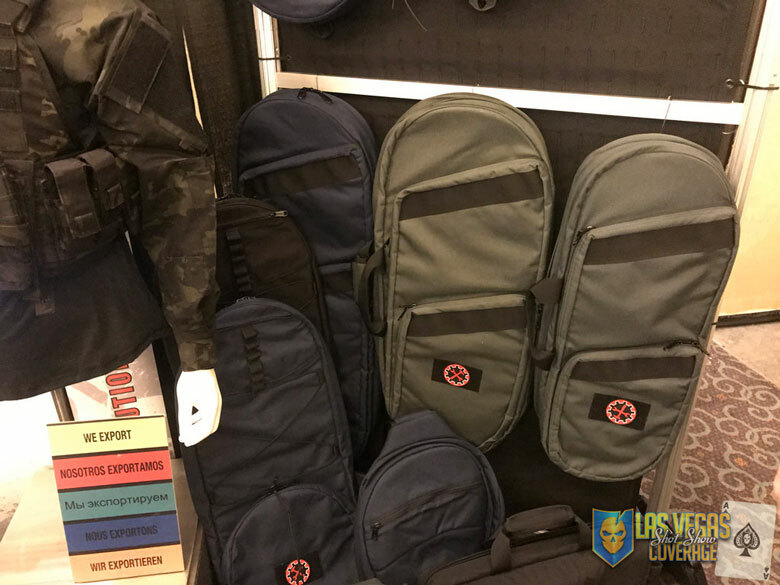 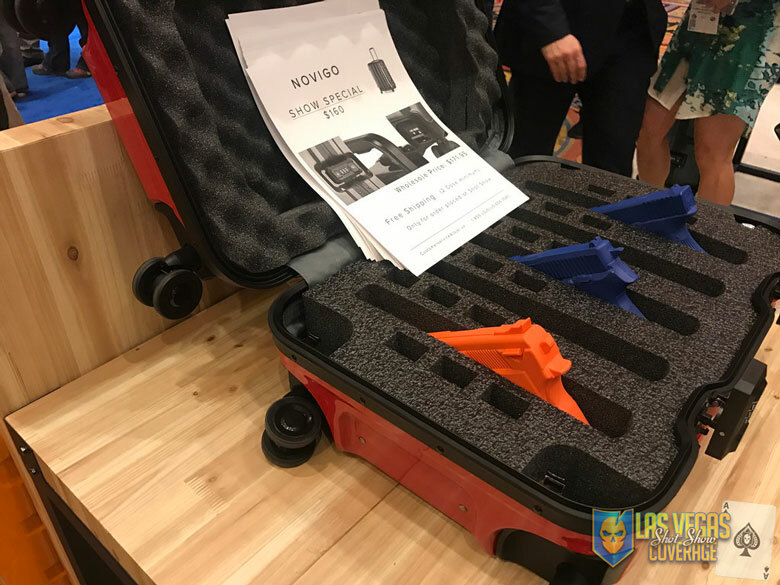 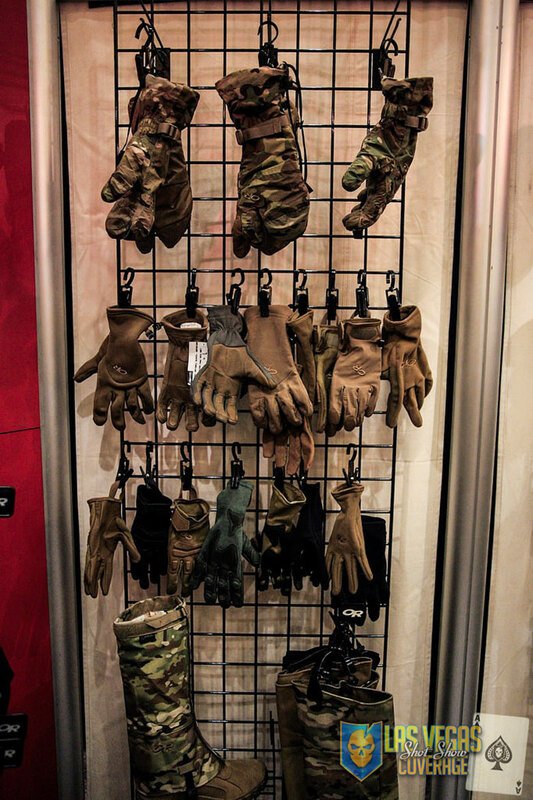 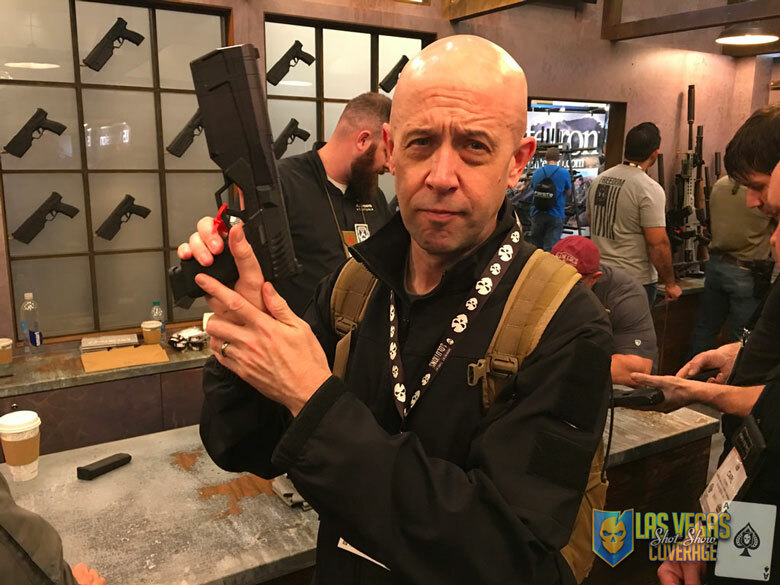 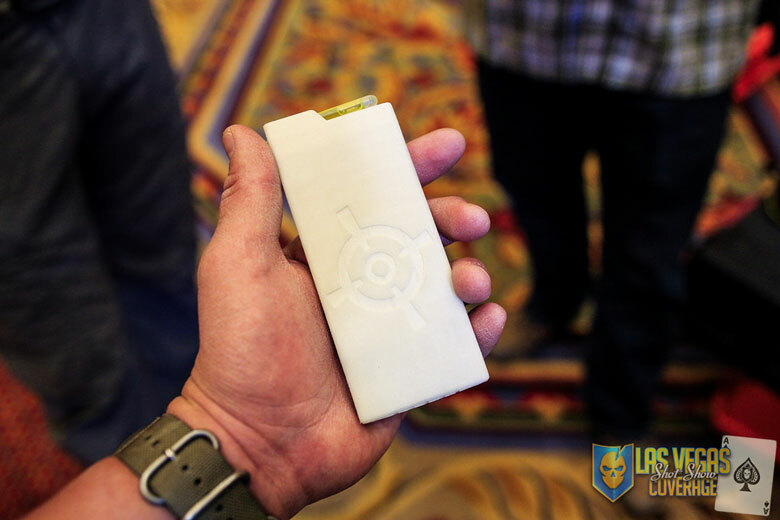 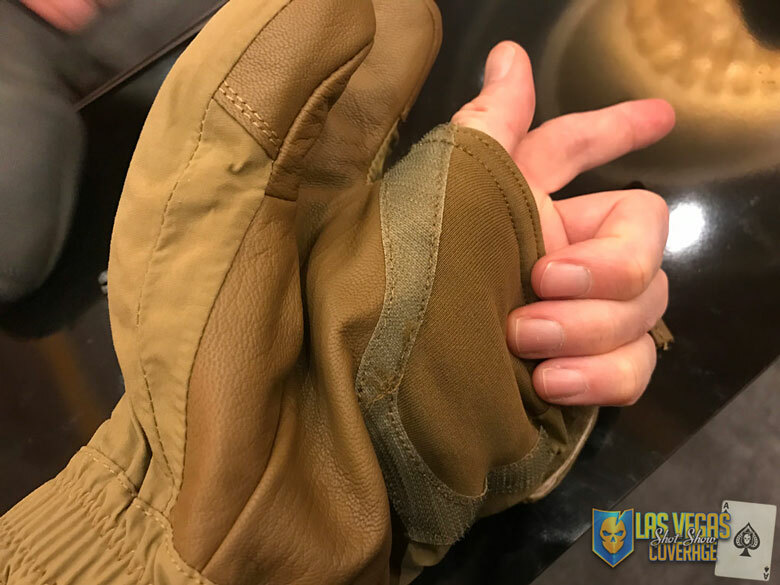 –1535– Always have hand sanitizer at the ready during SHOT Show! 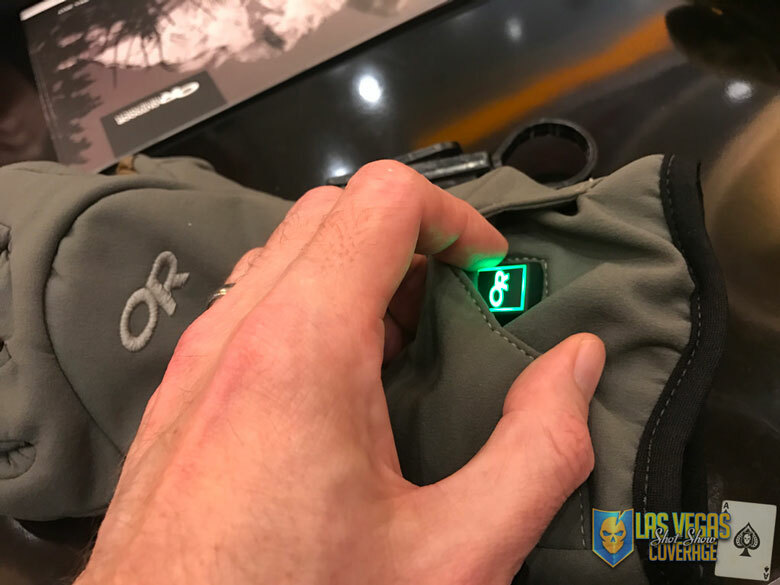 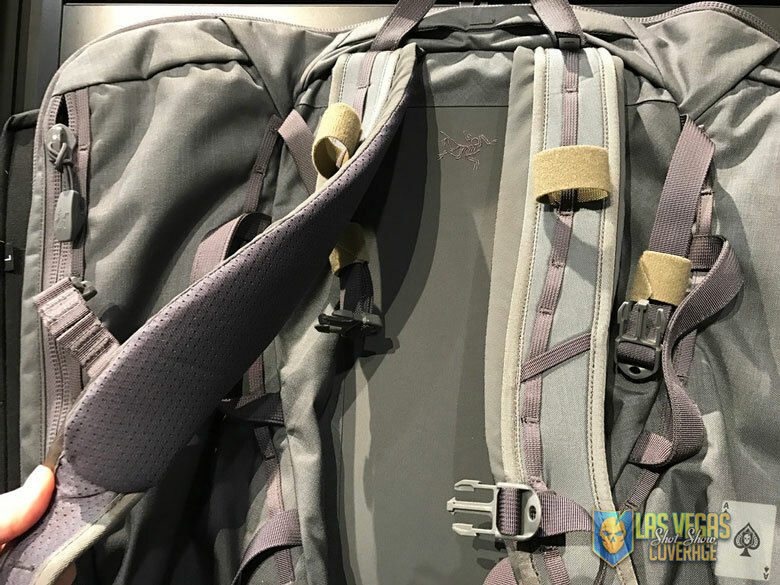 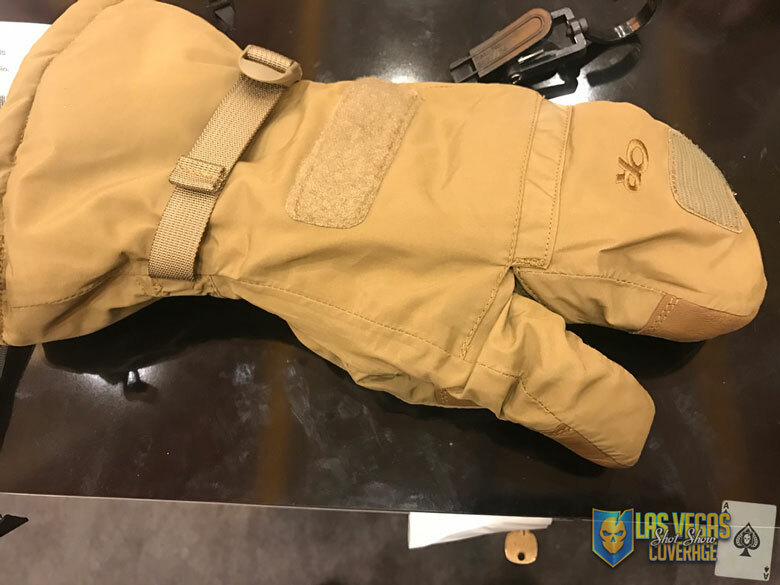 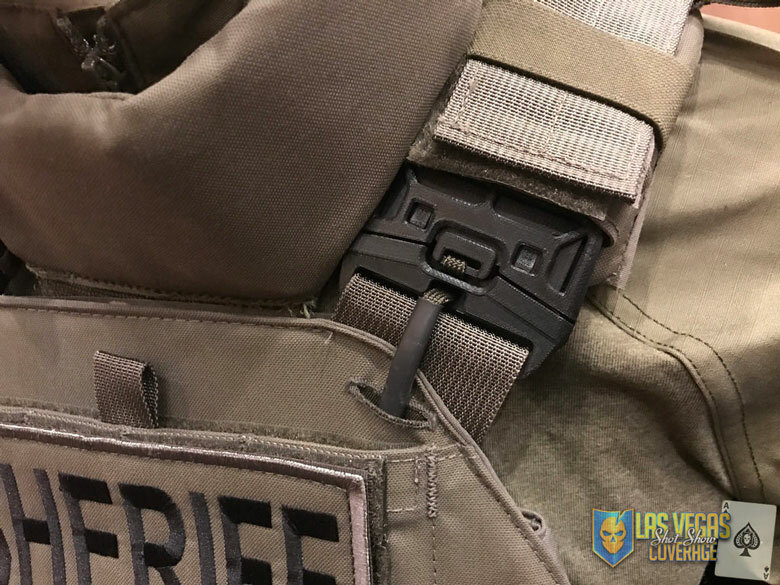 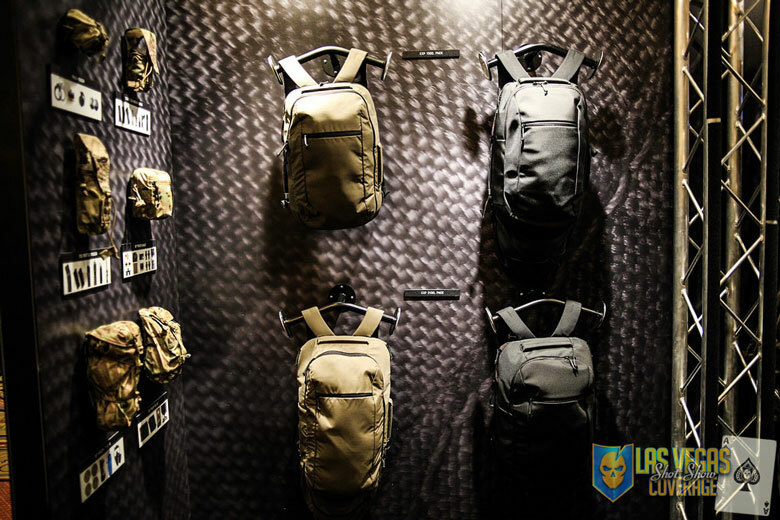 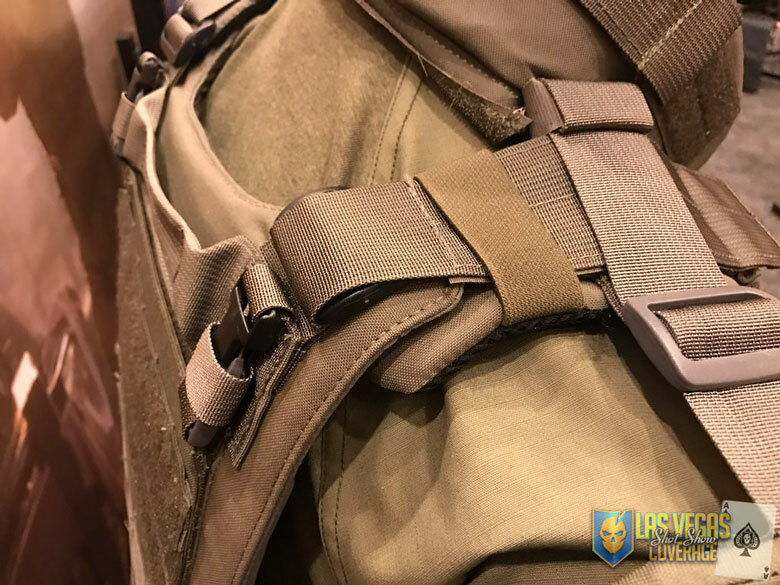 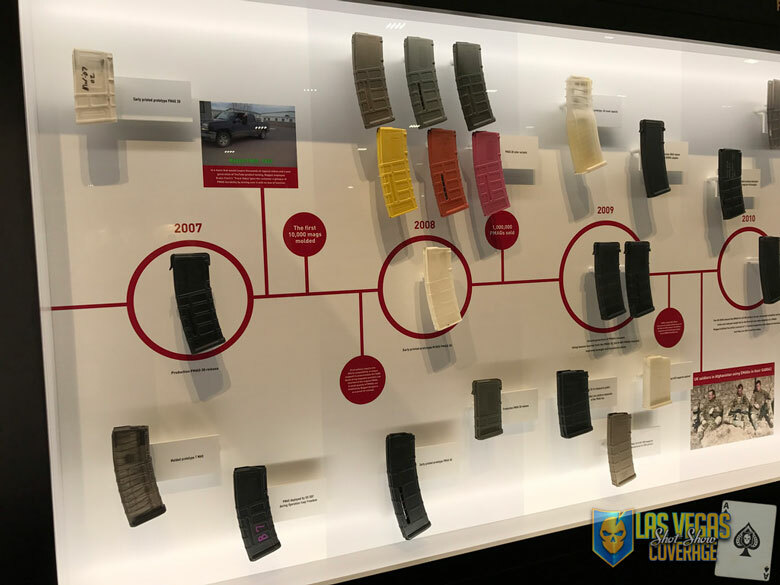 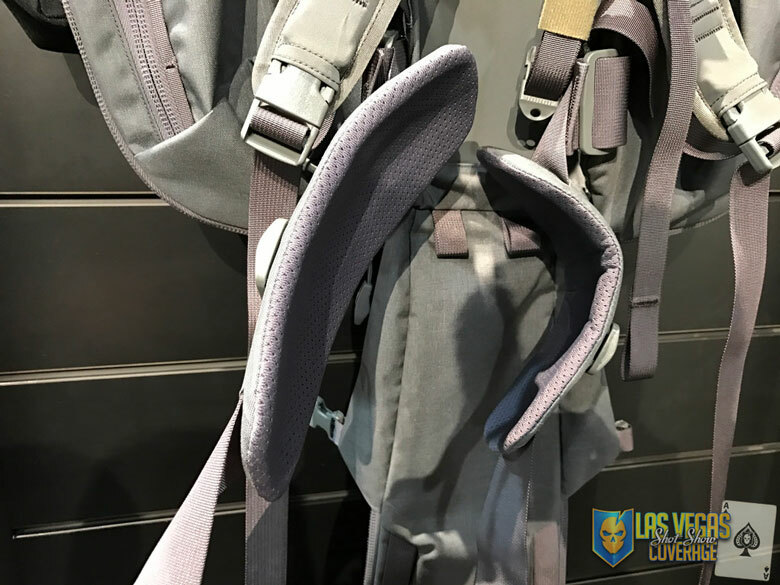 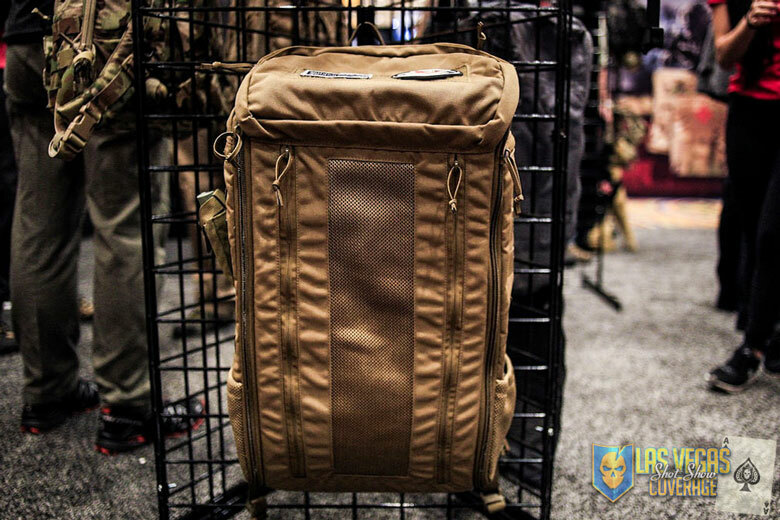 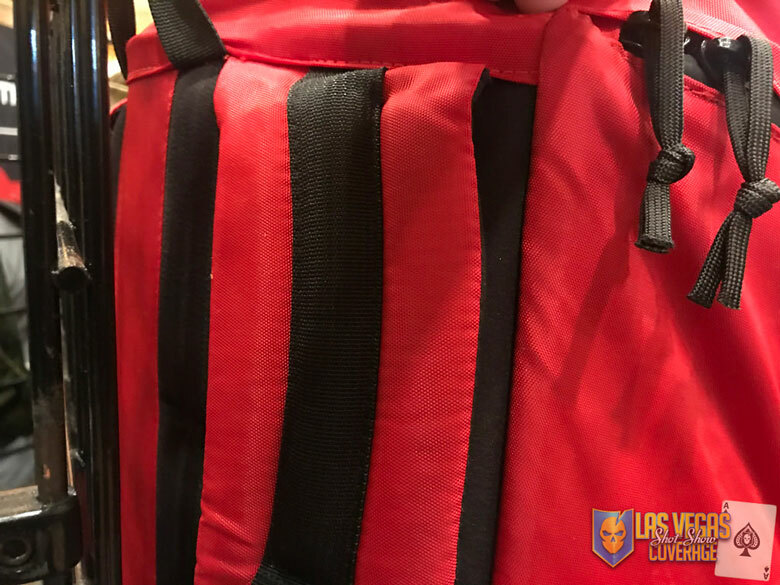 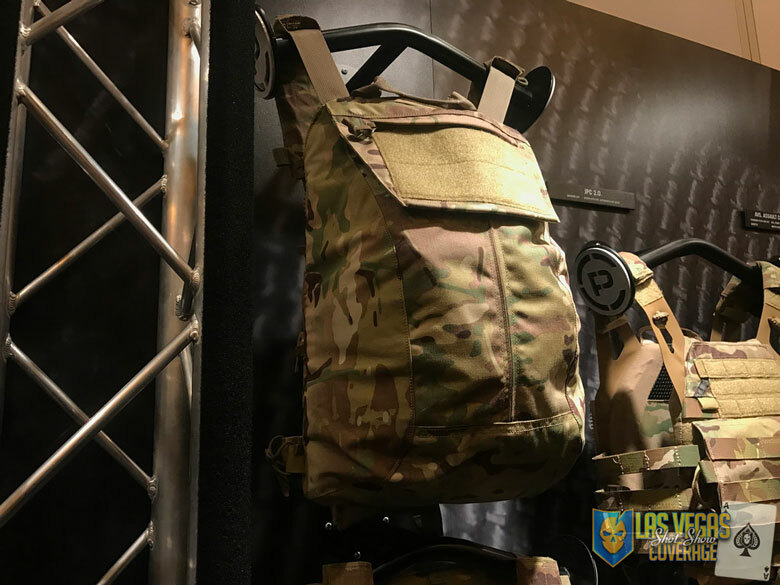 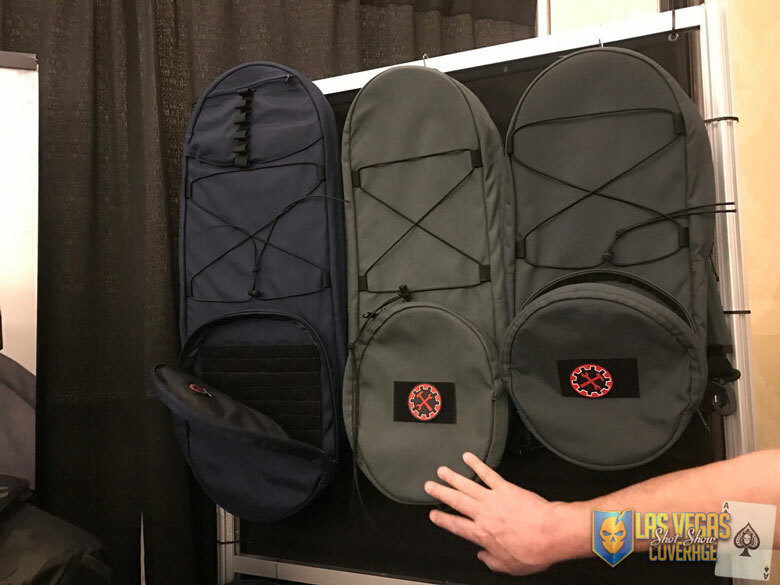 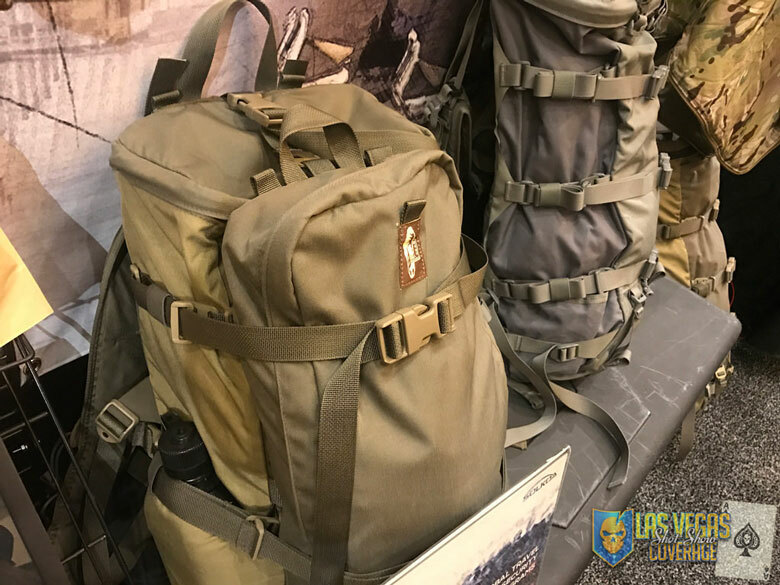 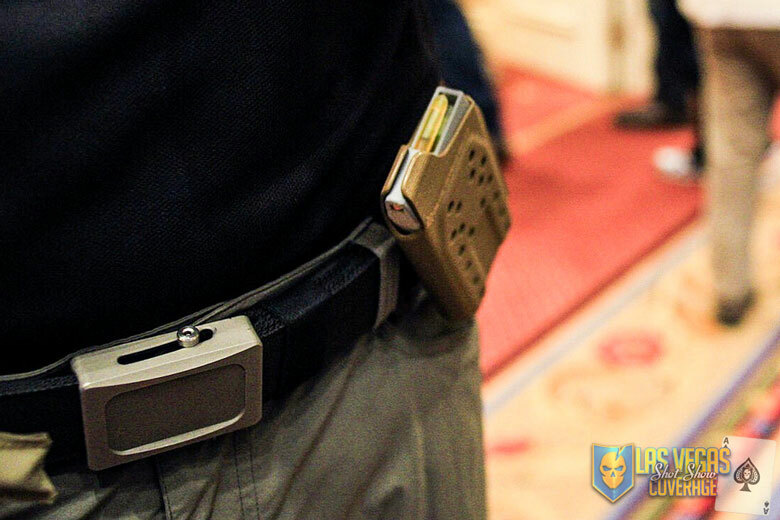 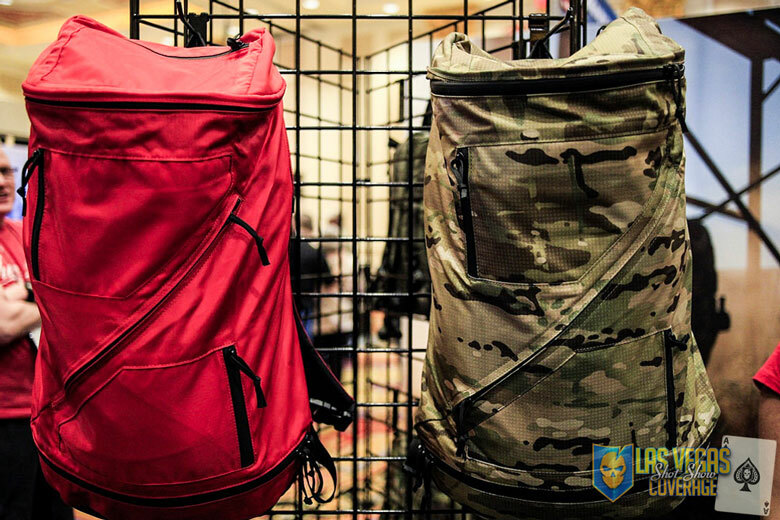 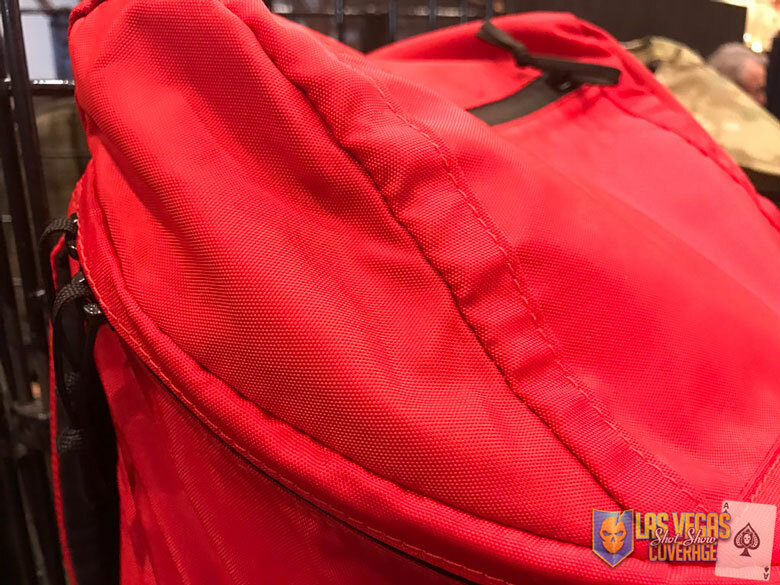 –1531– 2017 updates to the Arc’teryx Khard pack include removable pads on the waist strap and additional padding on the shoulder straps. 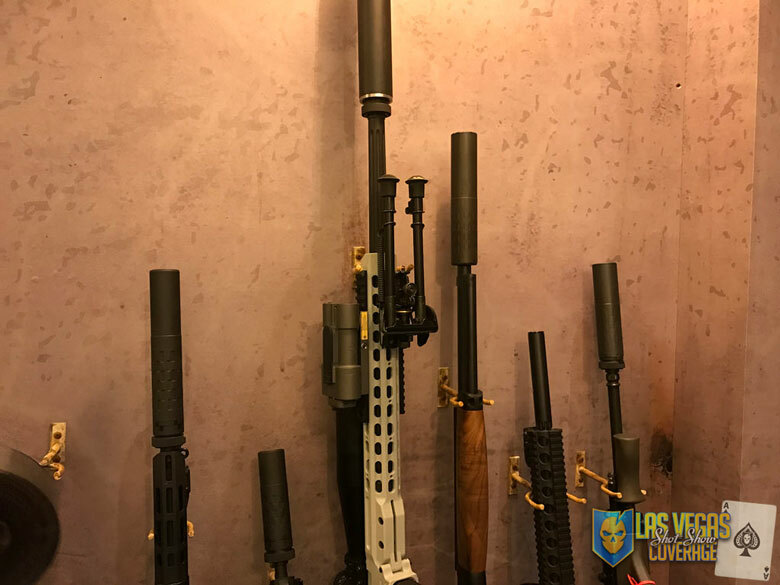 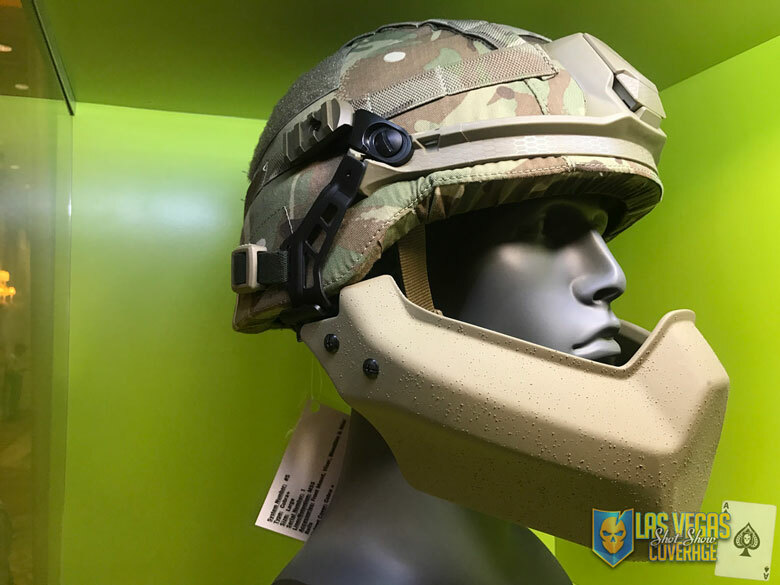 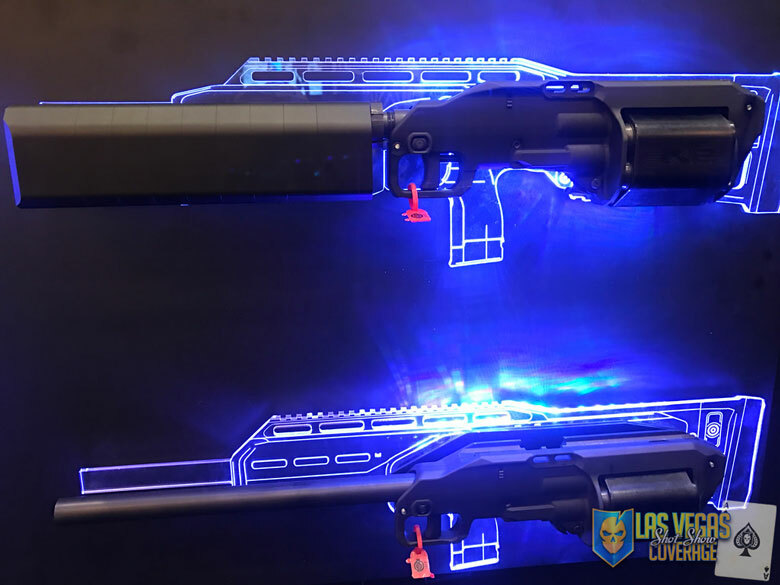 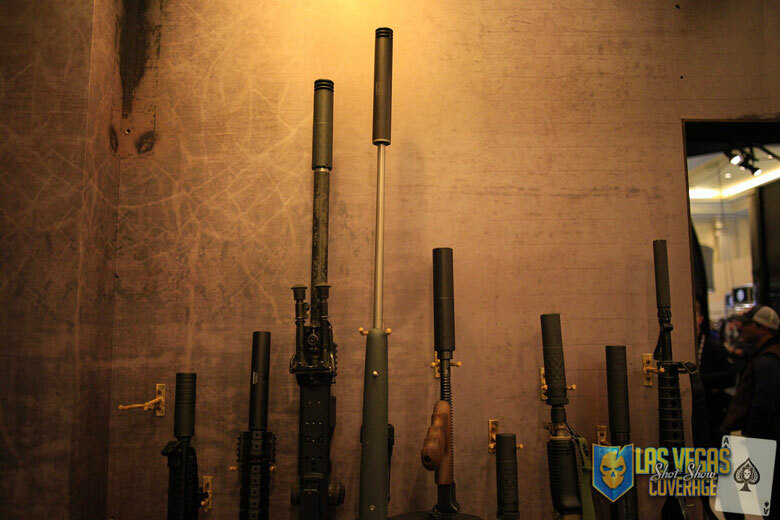 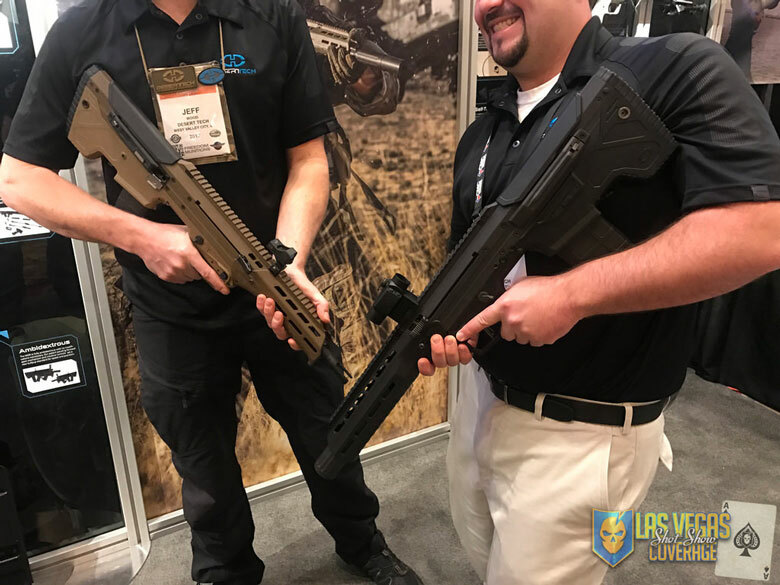 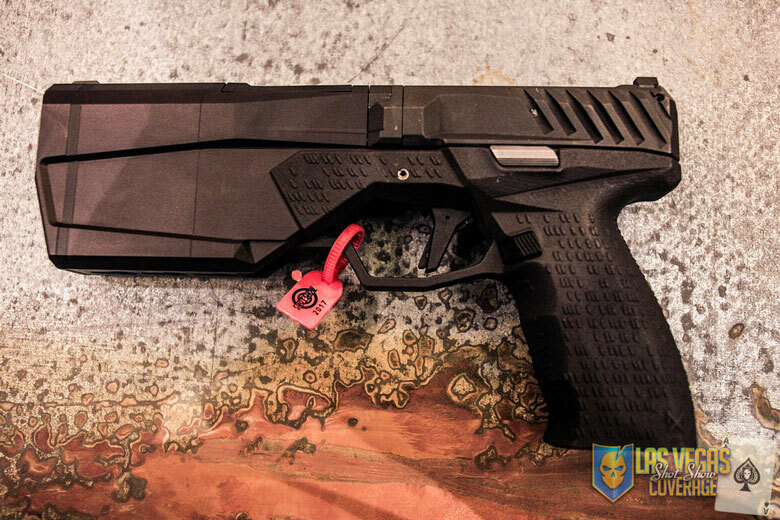 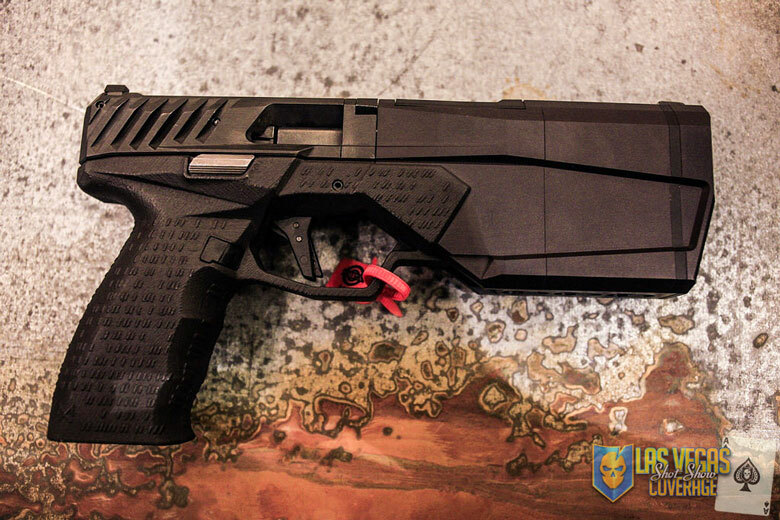 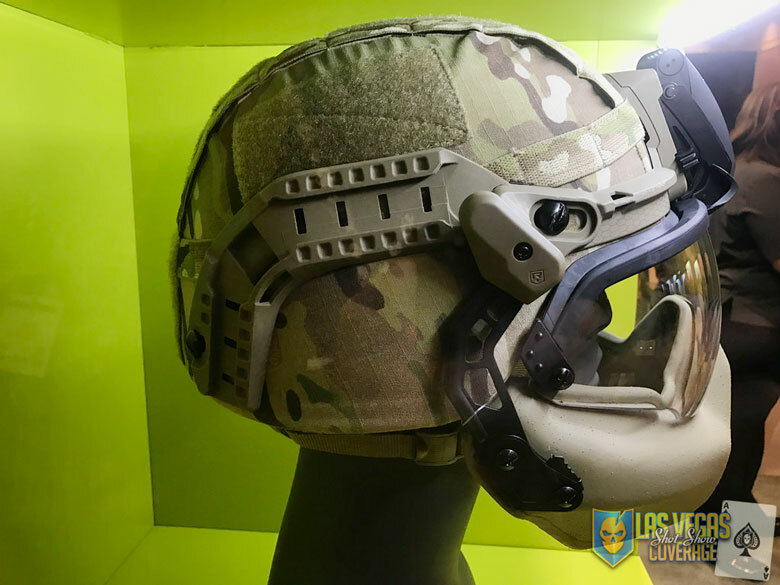 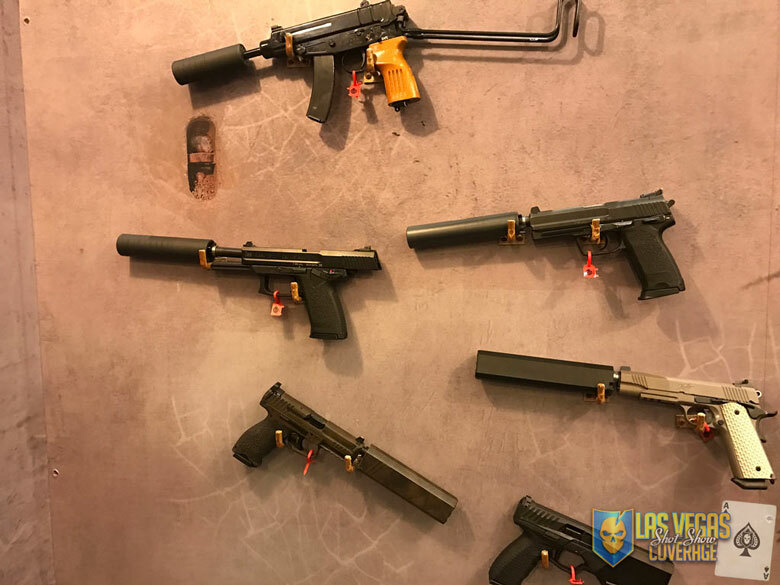 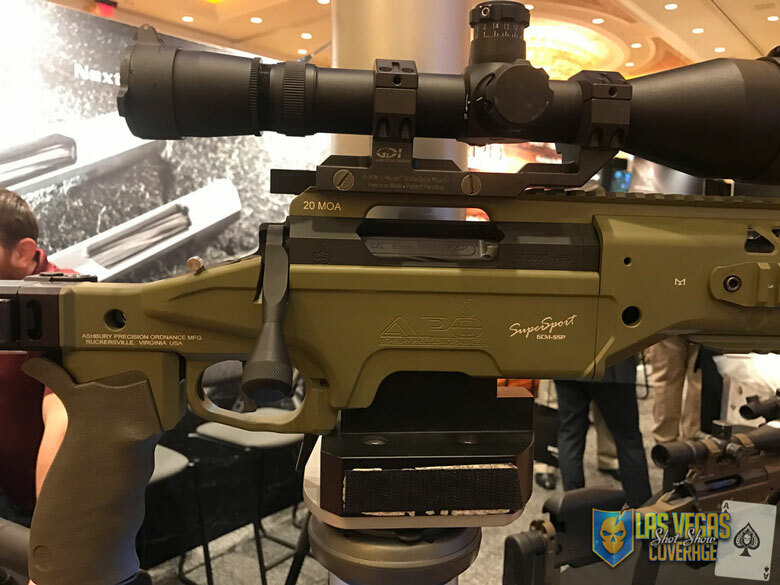 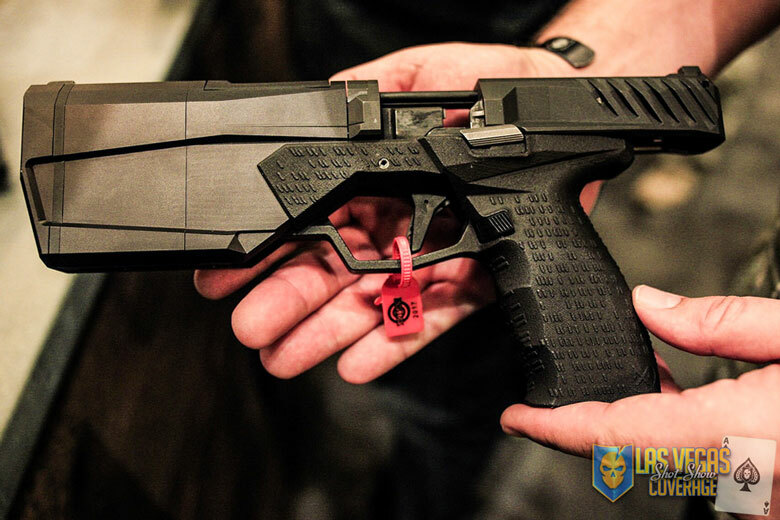 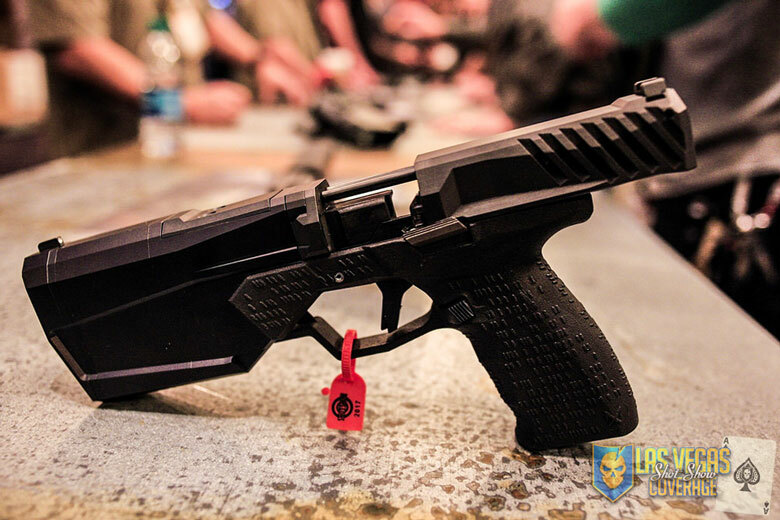 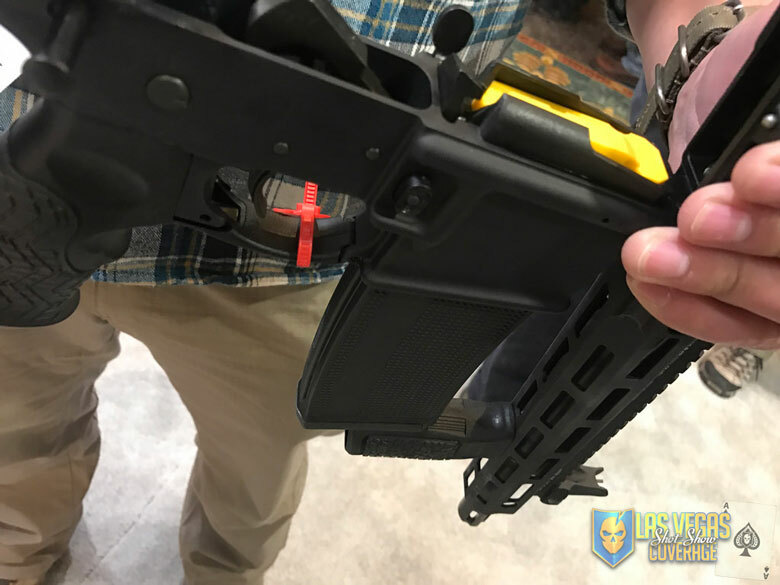 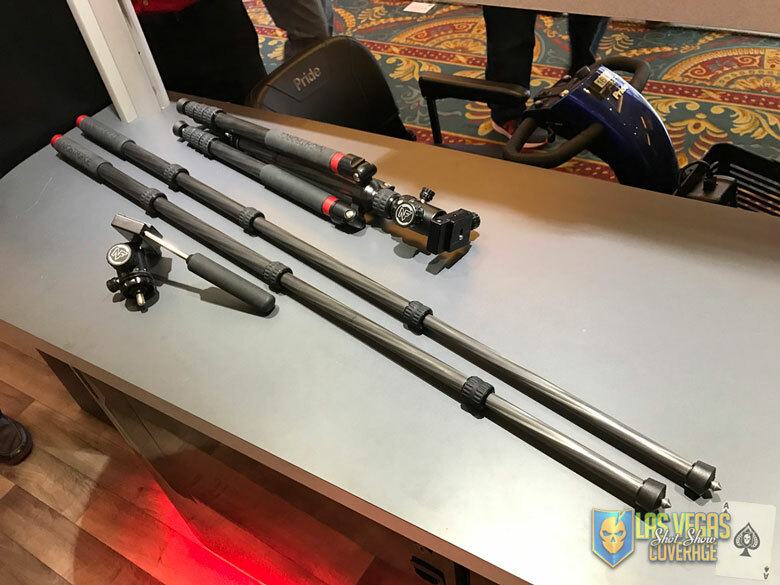 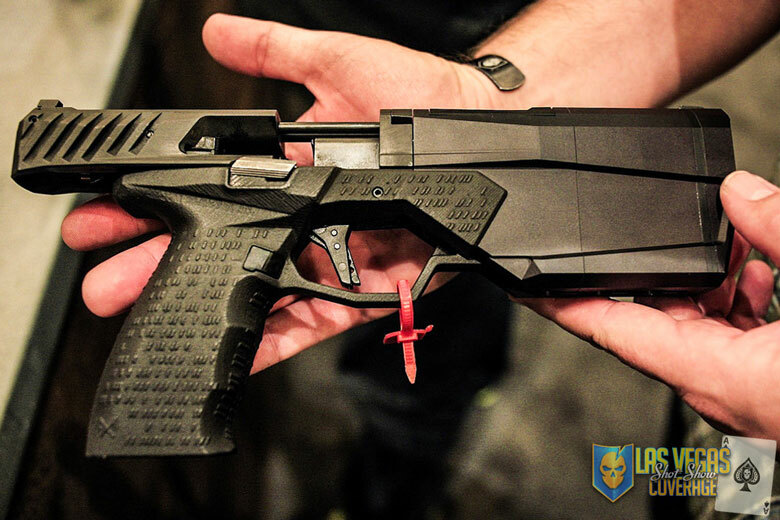 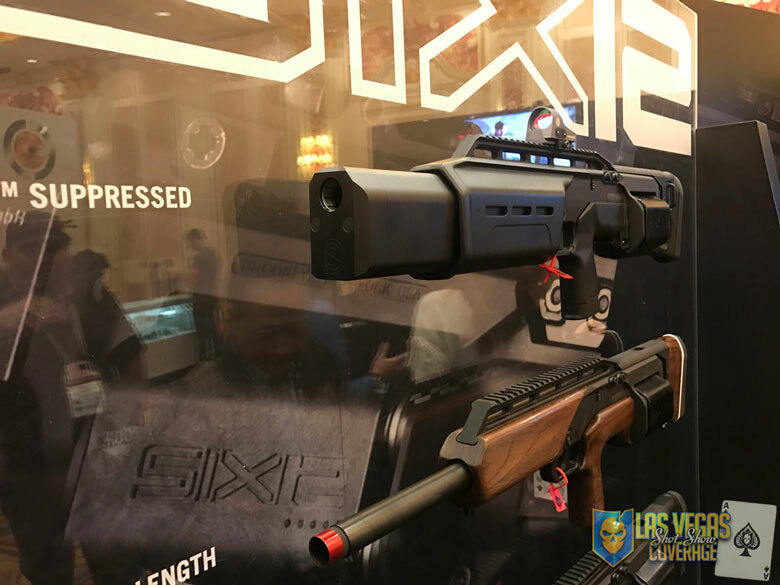 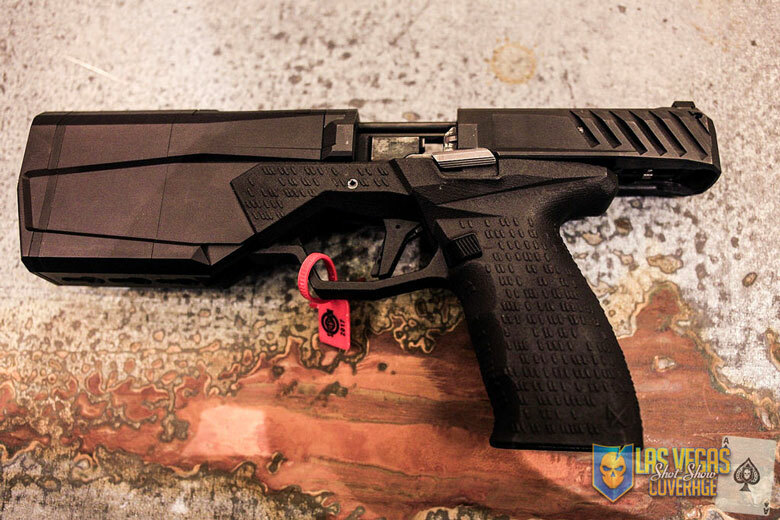 –1448– Some sweet stocks from G&A Precision. 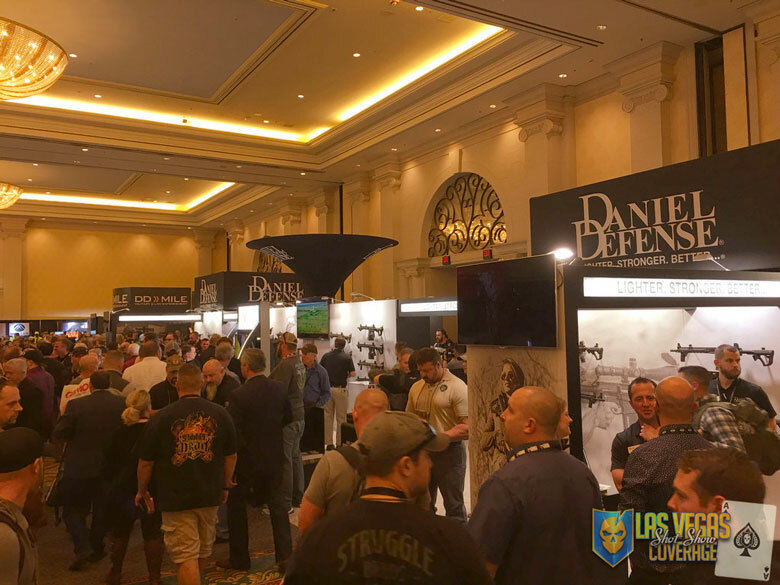 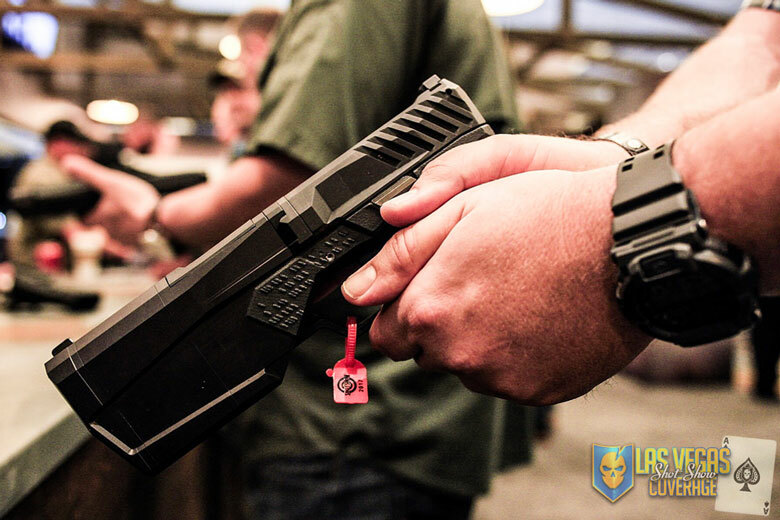 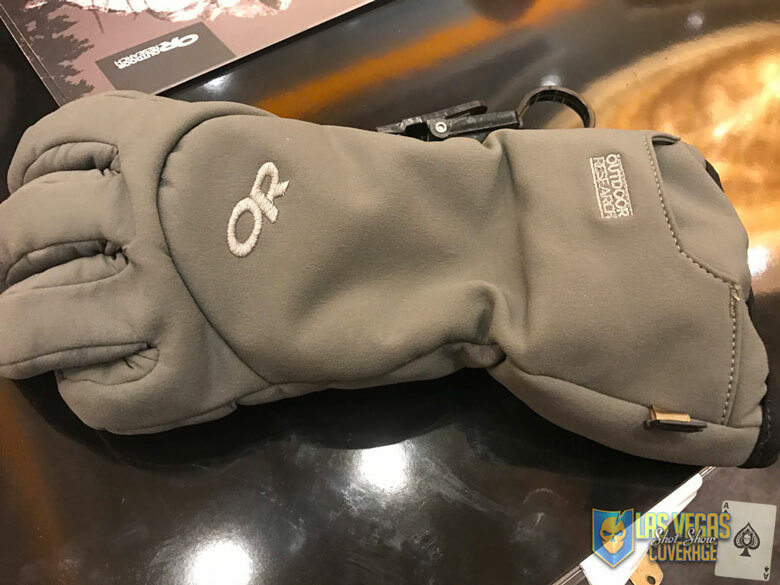 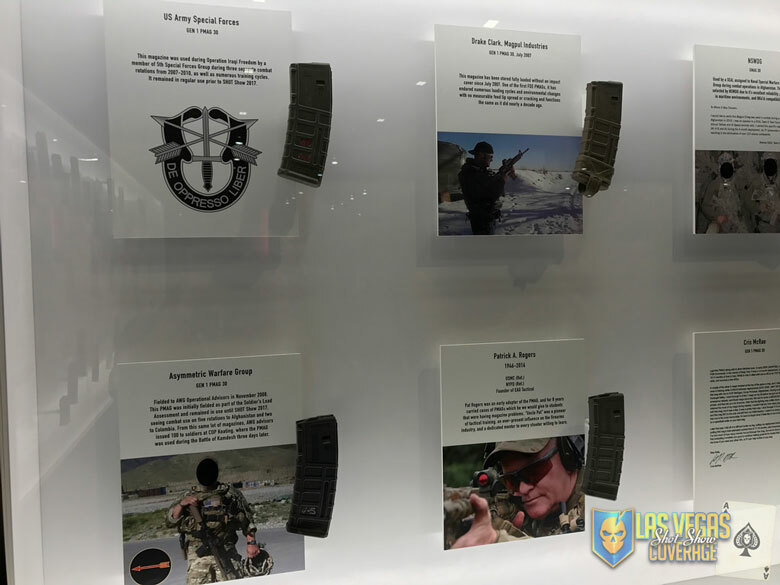 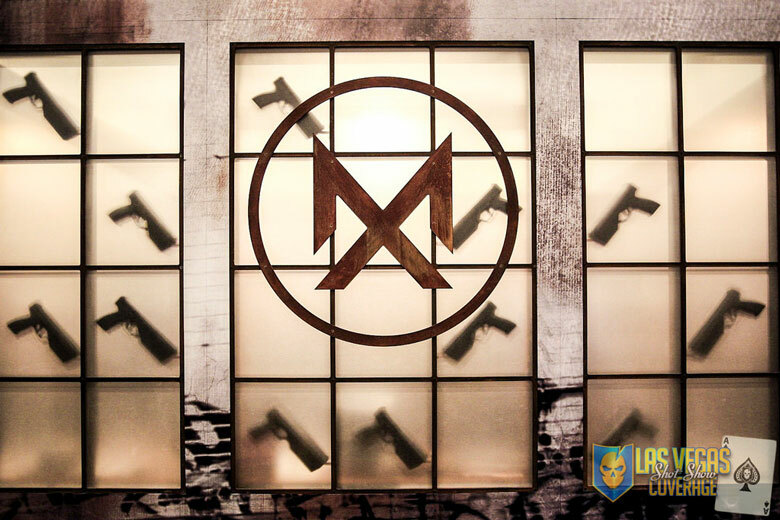 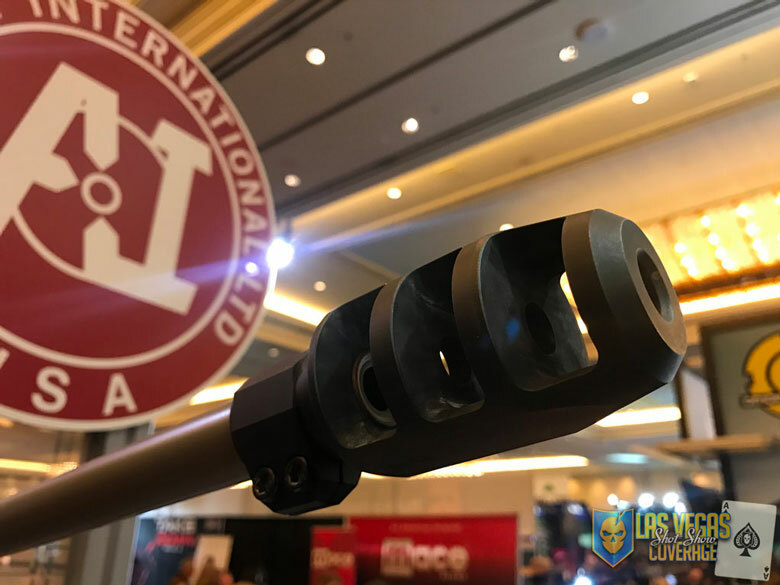 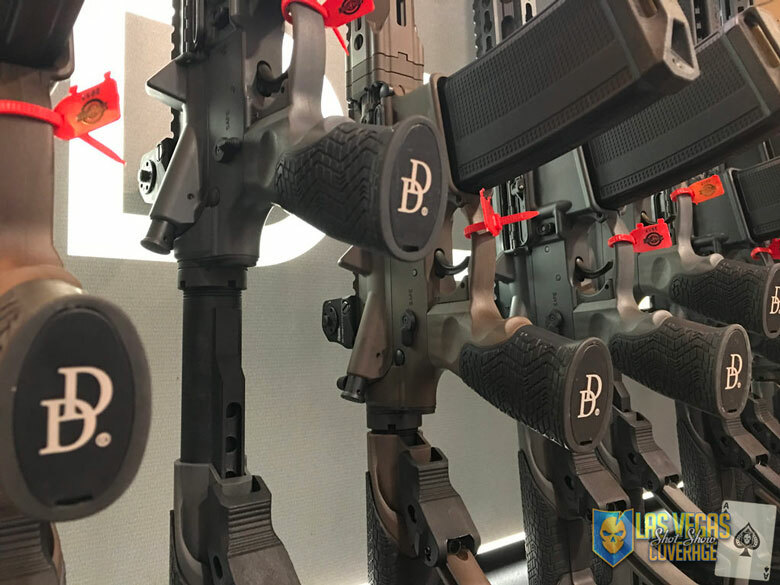 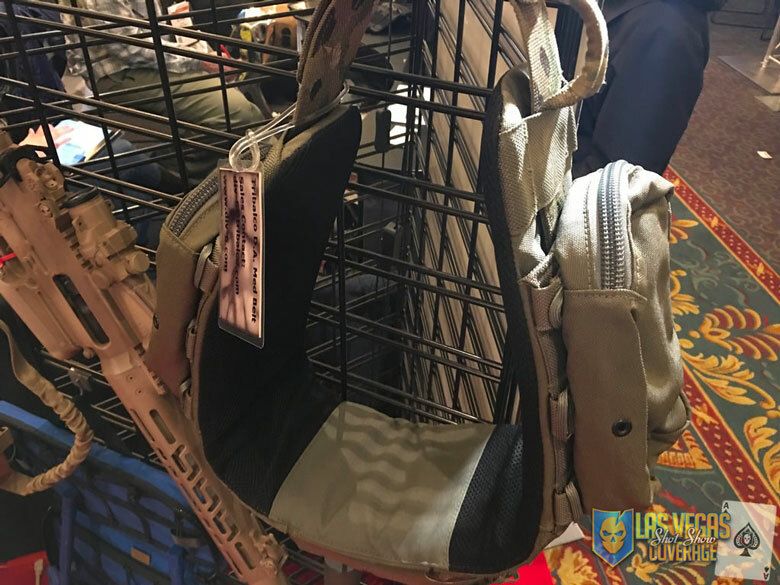 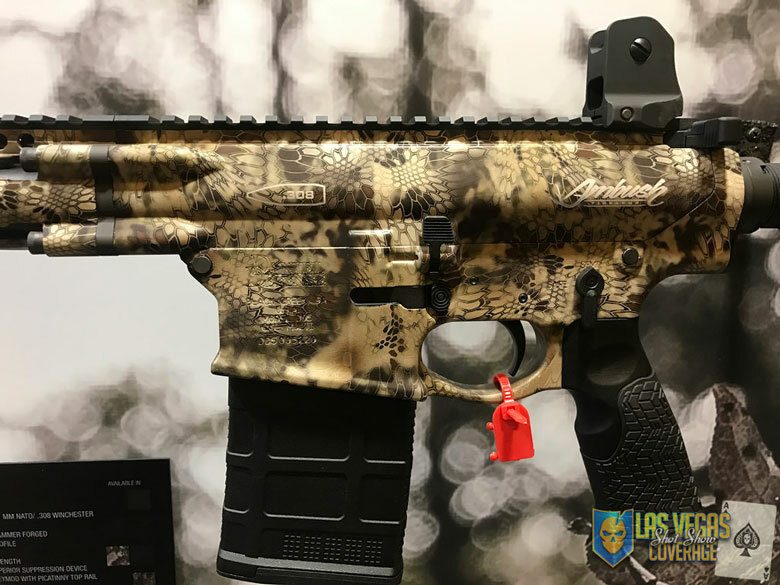 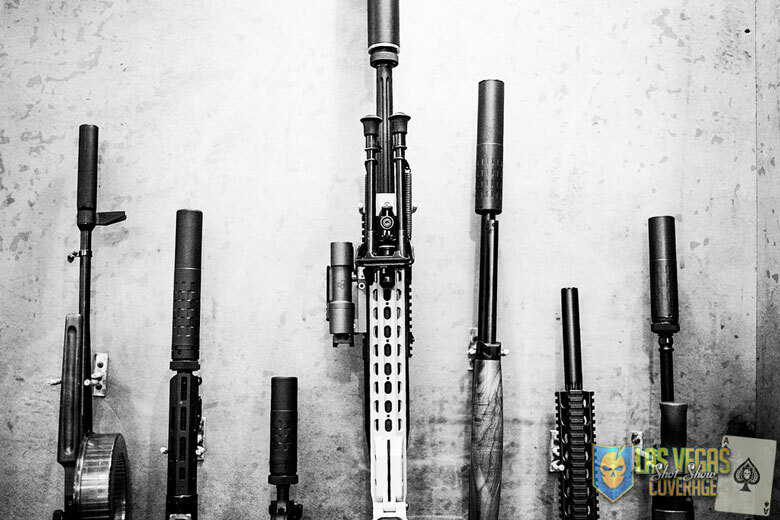 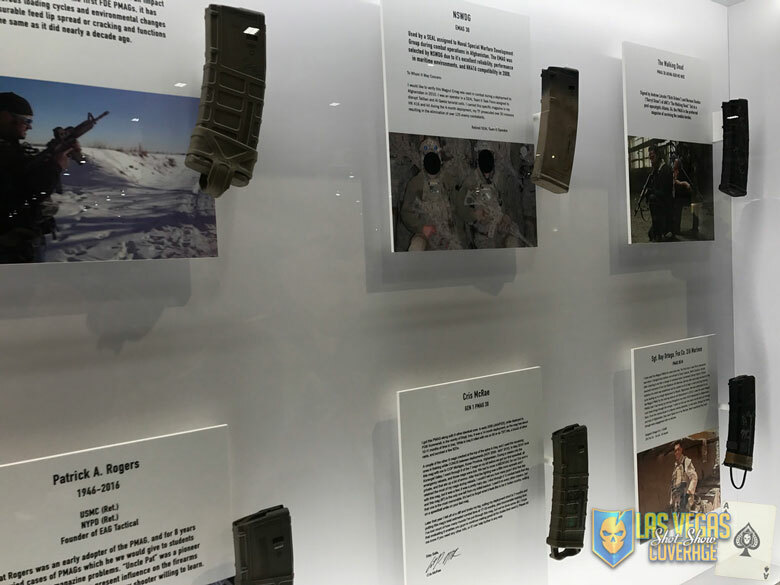 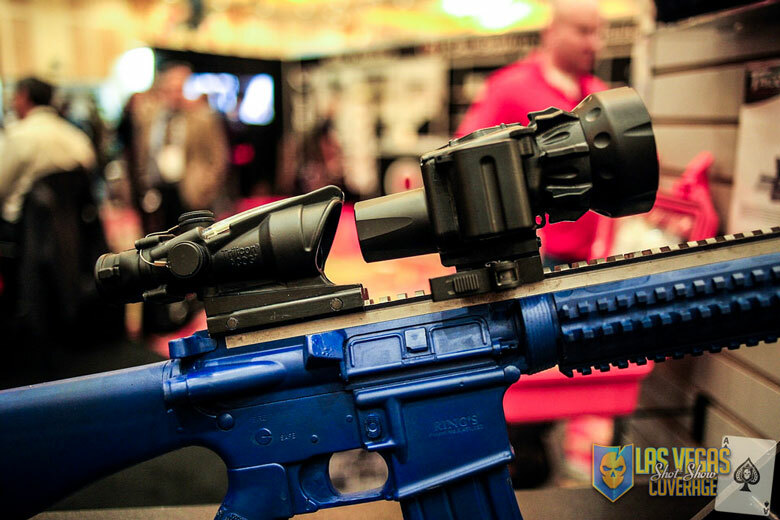 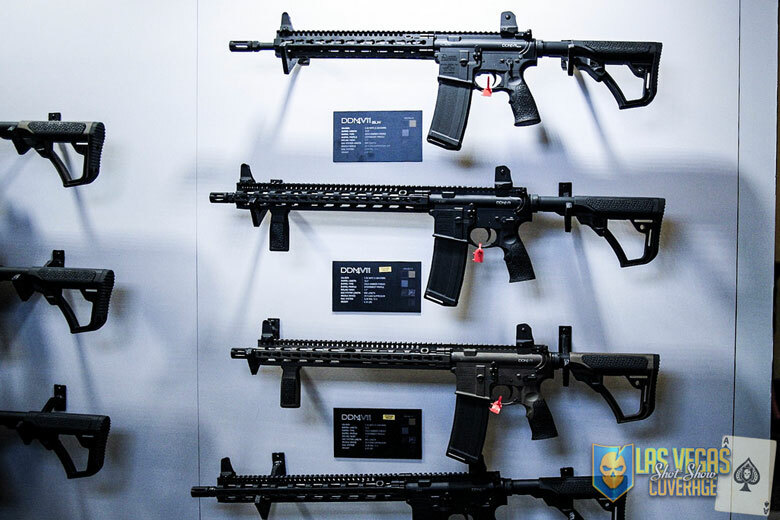 –1414– Daniel Defense has some awesome offerings this year! 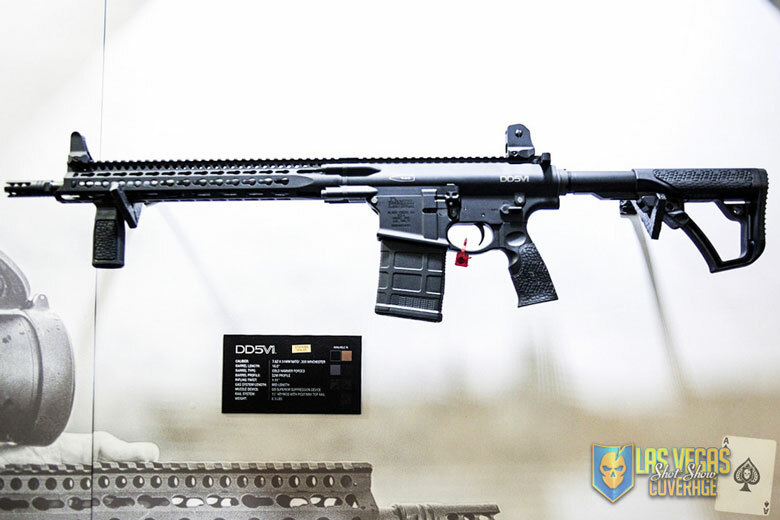 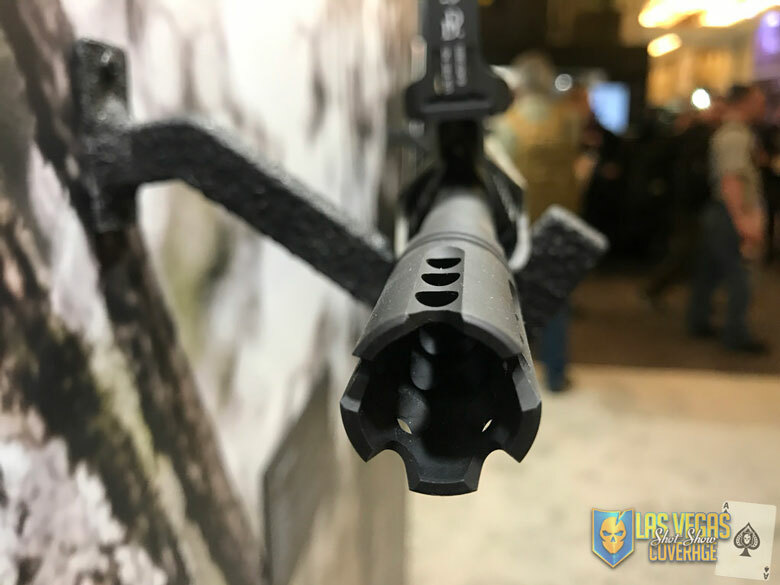 –1410– Carbon fiber reinforced DD Magazine on a DDM V7 from Daniel Defense. 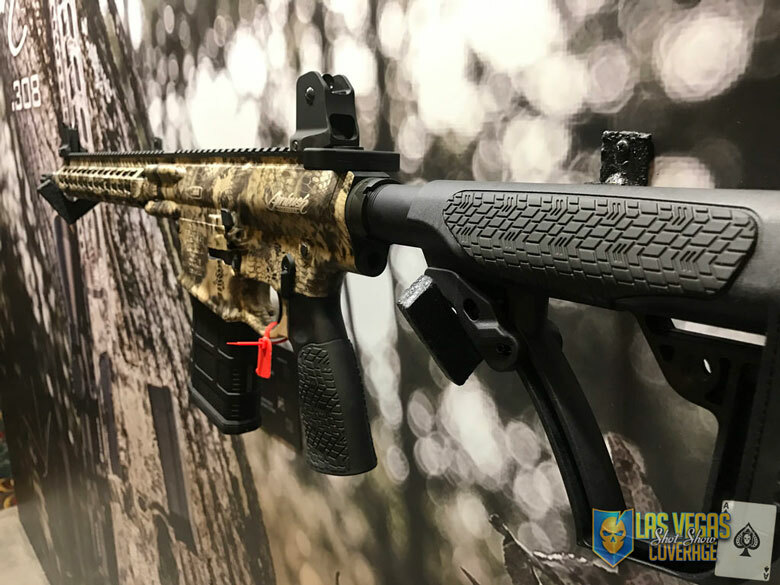 –1405– Daniel Defense Ambush, 18″ barrel in God’s Own Caliber (308), hydro dipped in Kryptek Highlander pattern. 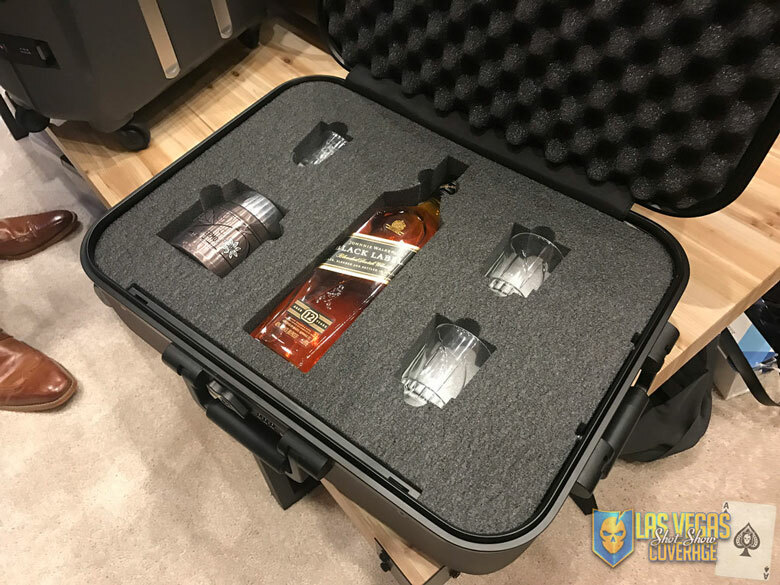 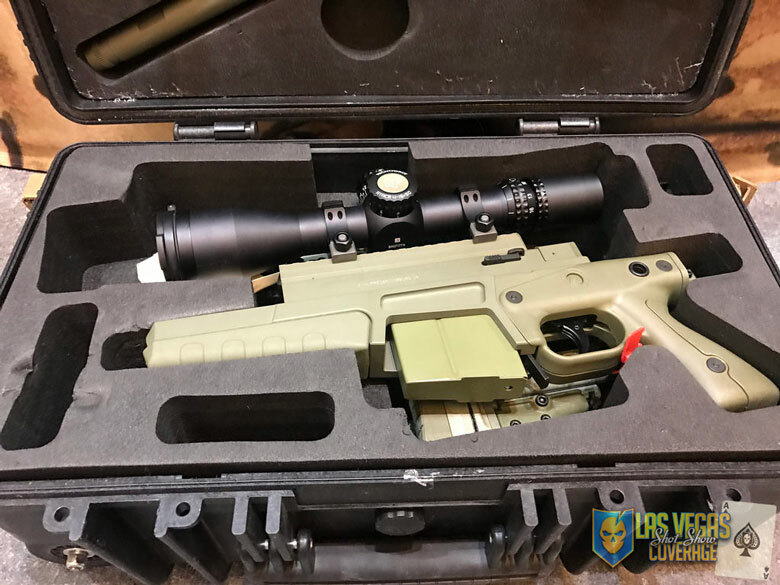 –1358–Broken down Accuracy International Precision rifle in a small Pelican case. 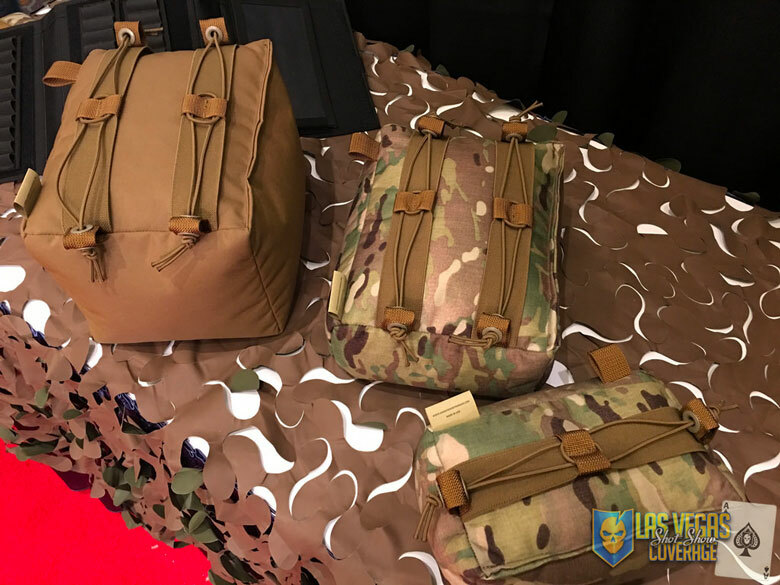 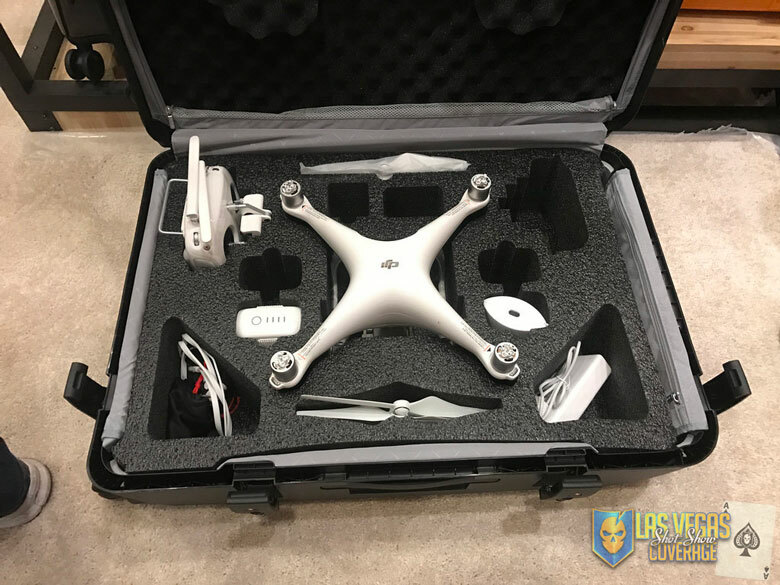 –1355– Additional offerings from LBX. 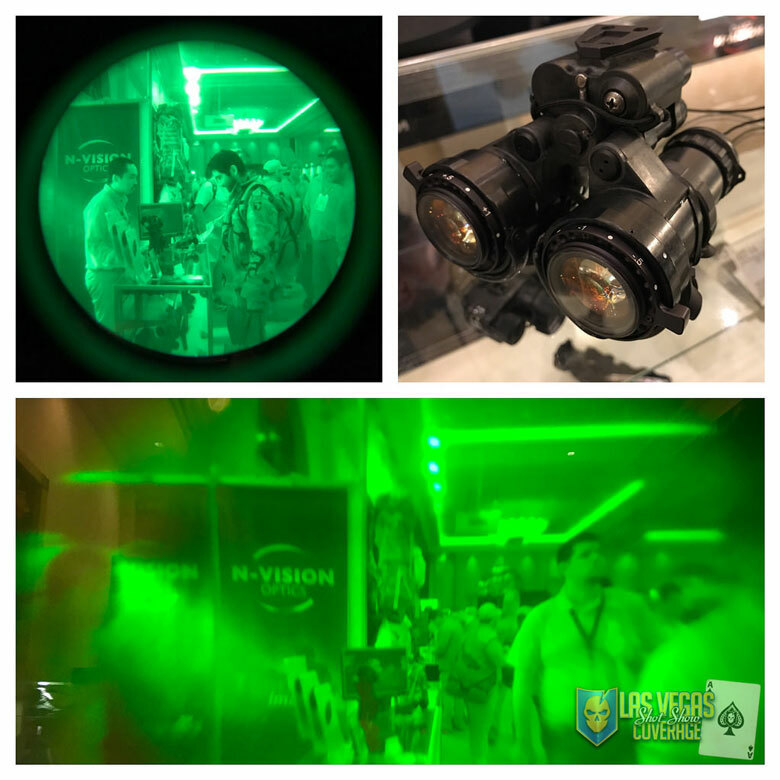 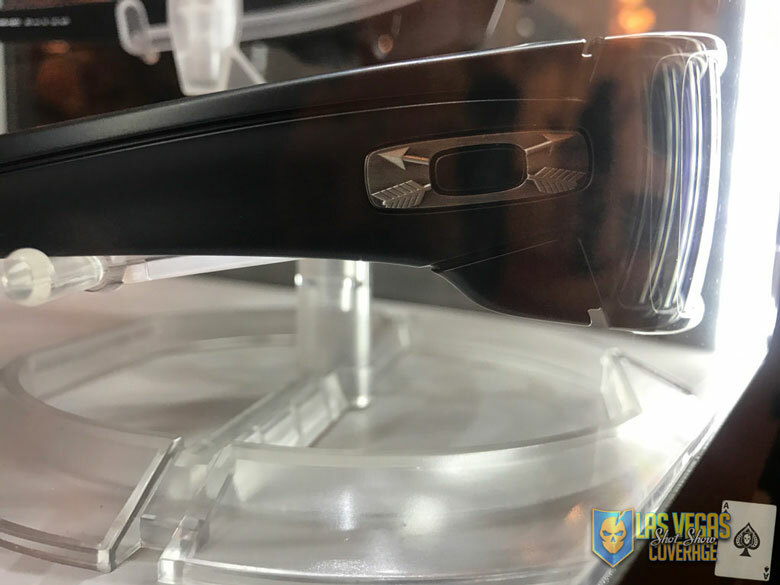 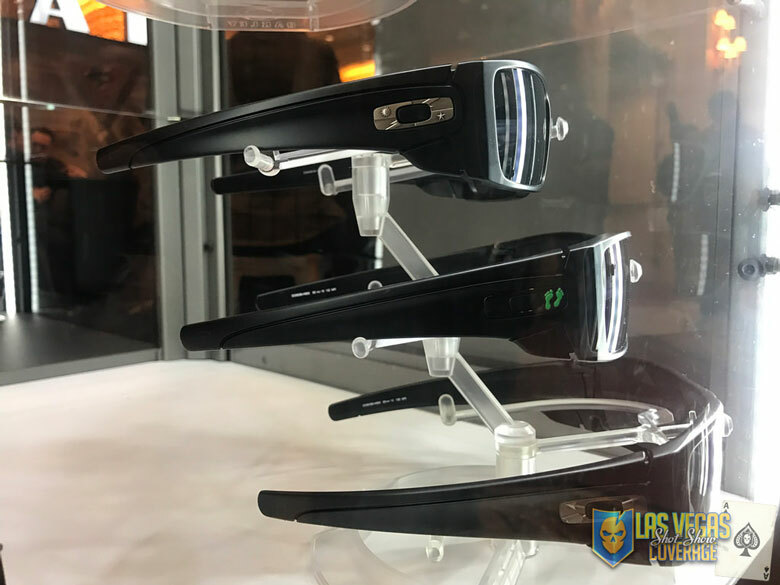 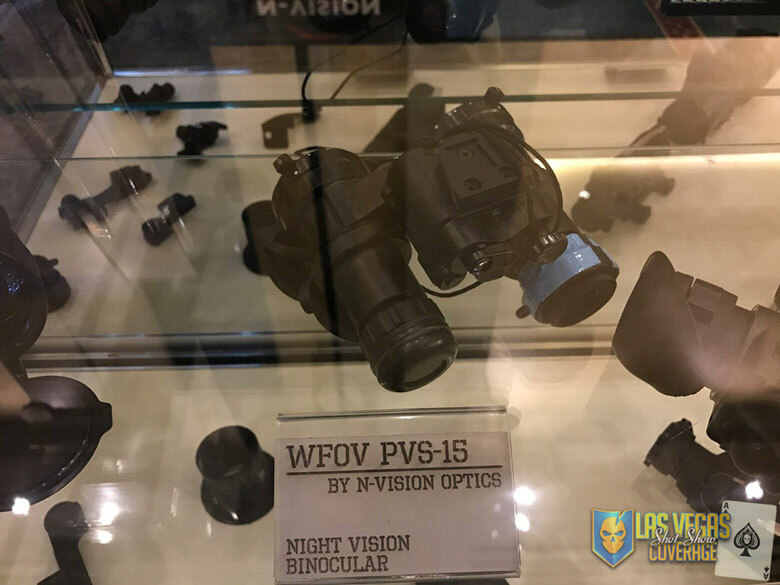 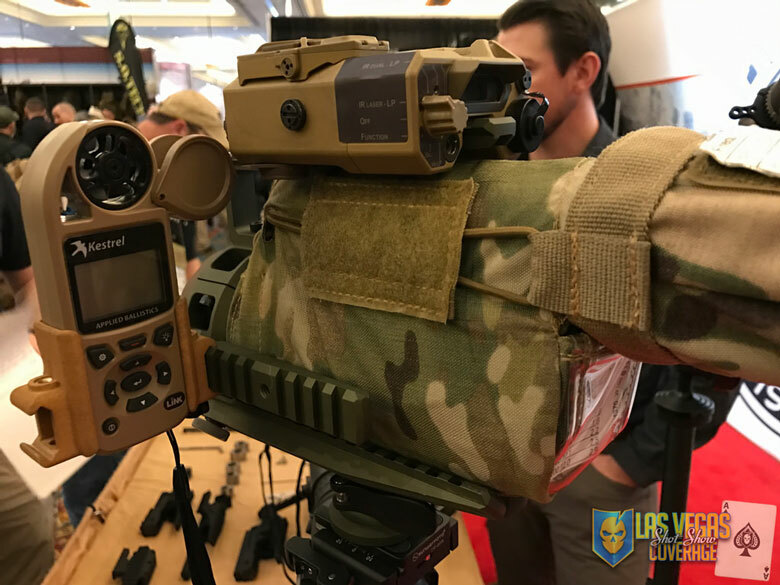 –1350–N-Vision Optics new WFOV (wide field of view) PVS-15 is impressive! 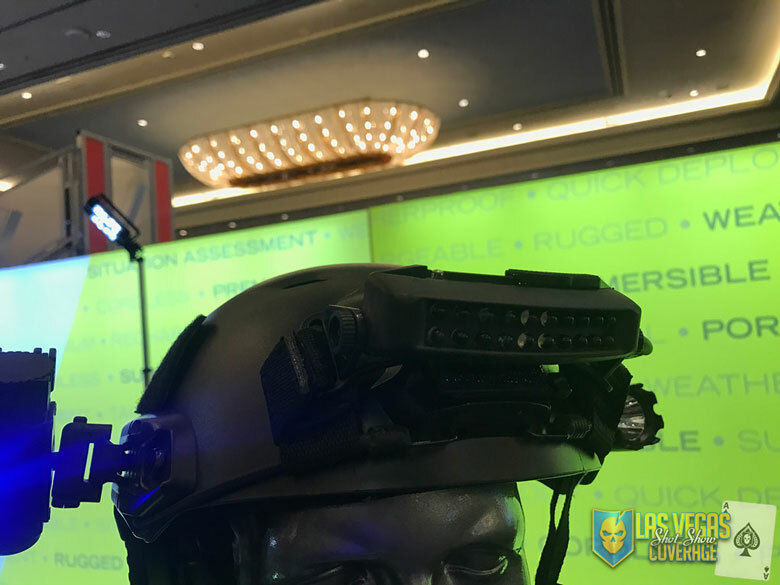 80 degree field of view as shown at the bottom vs. traditional PVS-14 and its 40 degree field of view shown in the upper left. 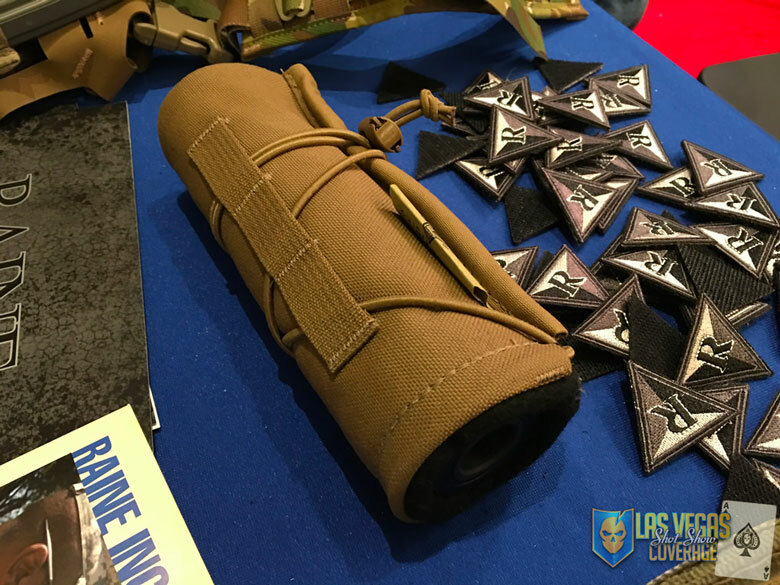 –1318– Some additional offerings from OR.